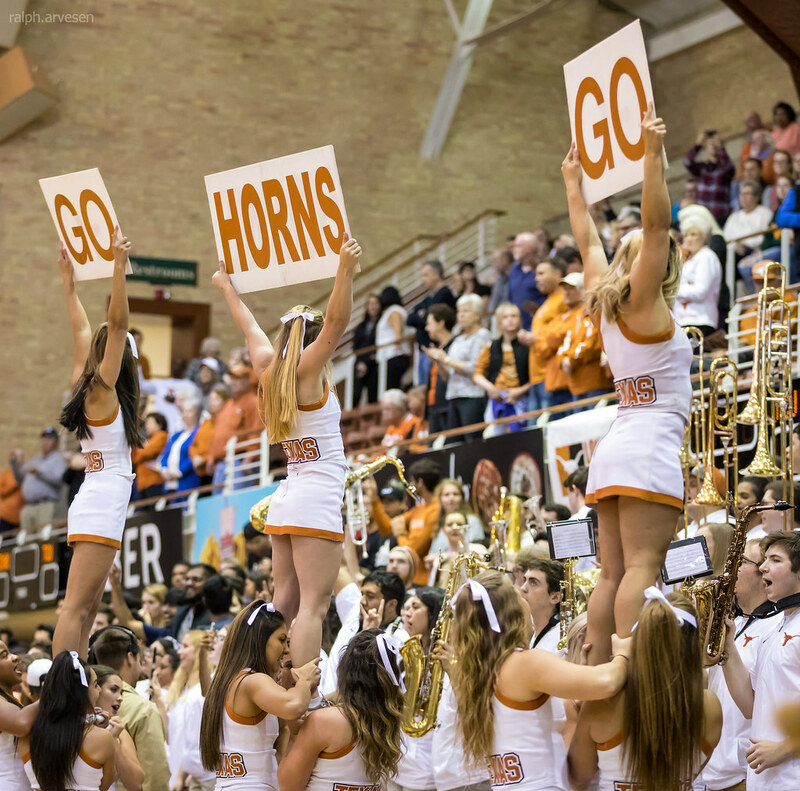 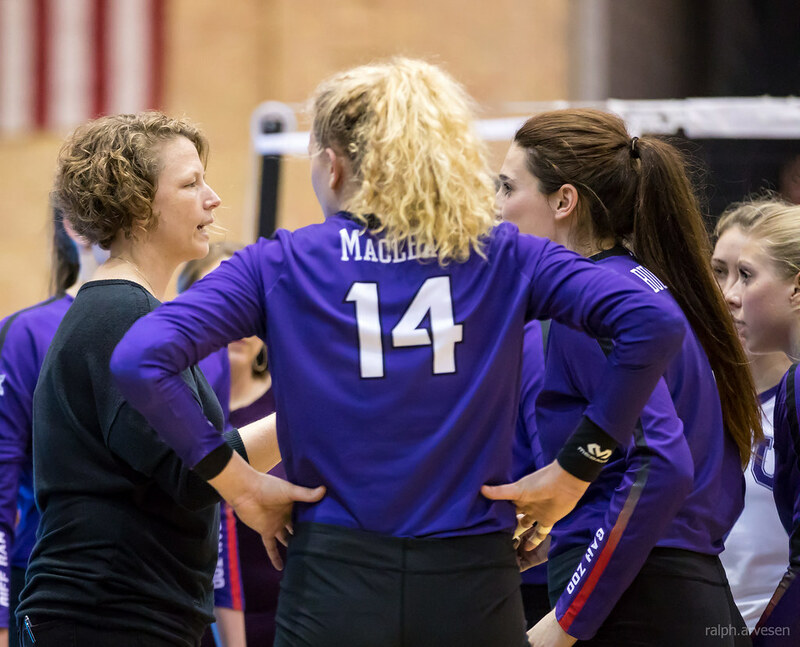 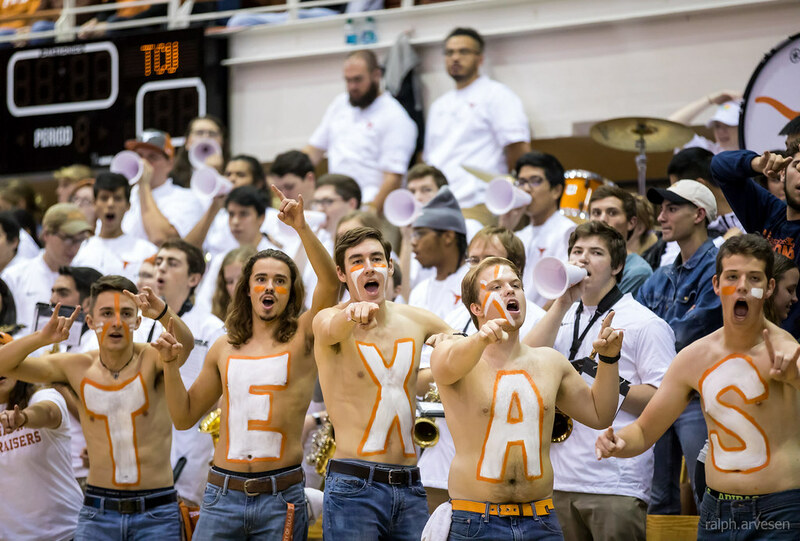 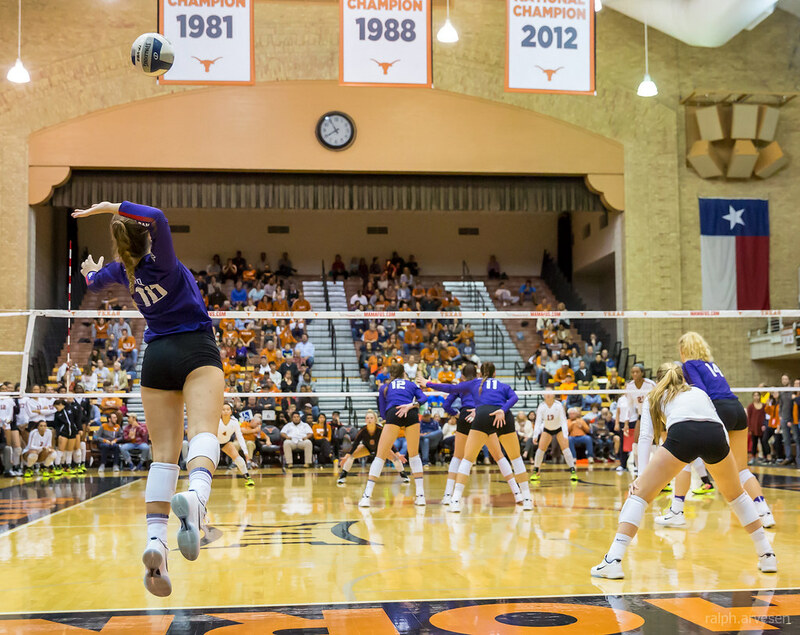 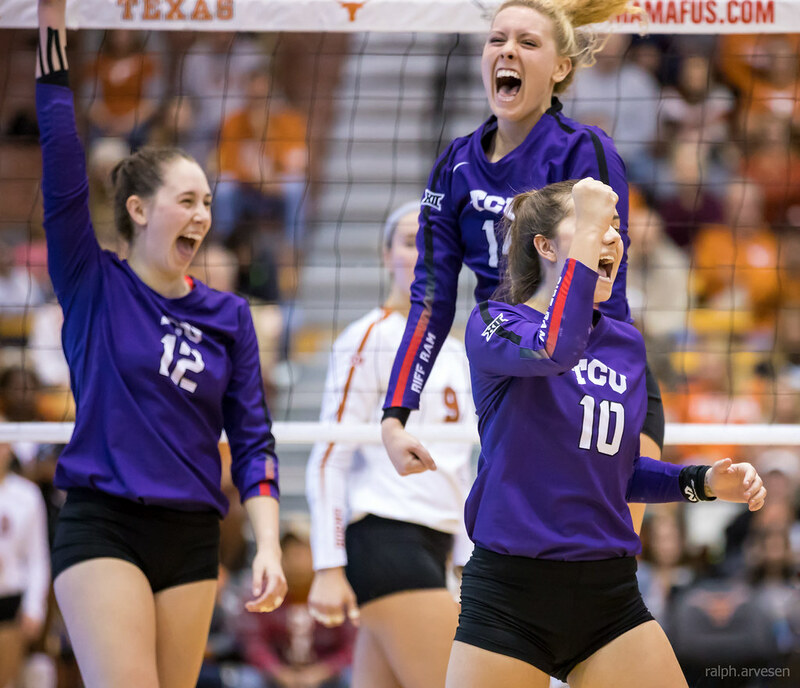 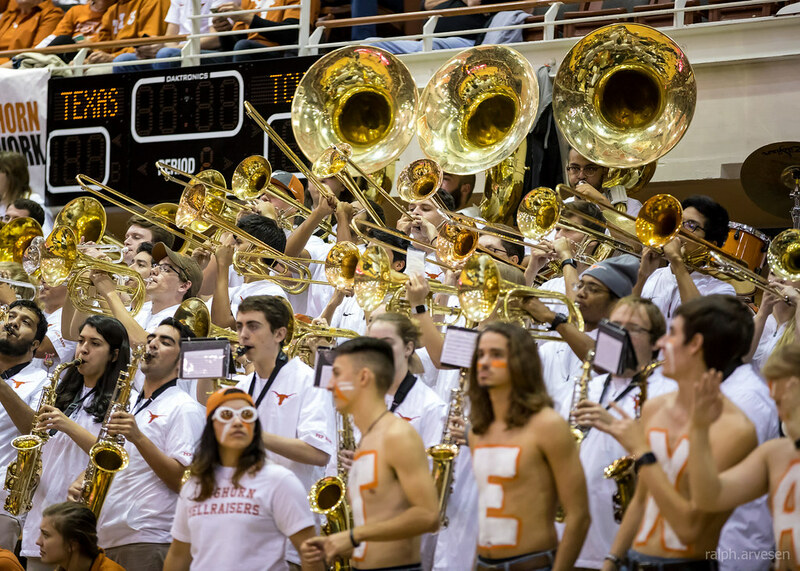 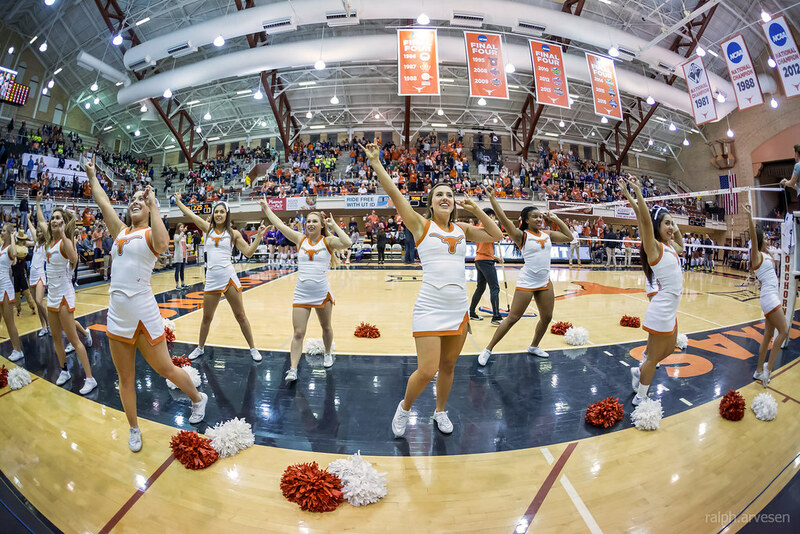 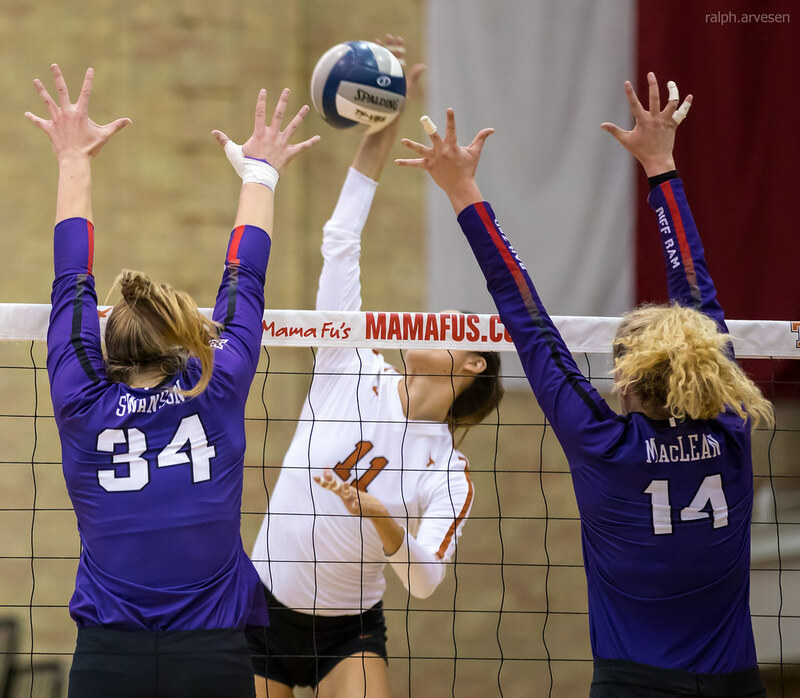 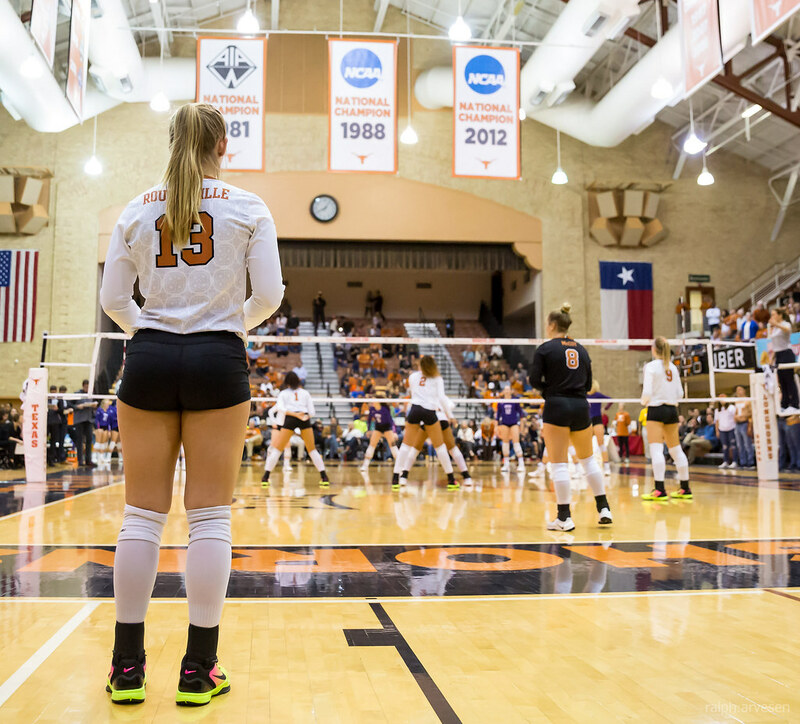 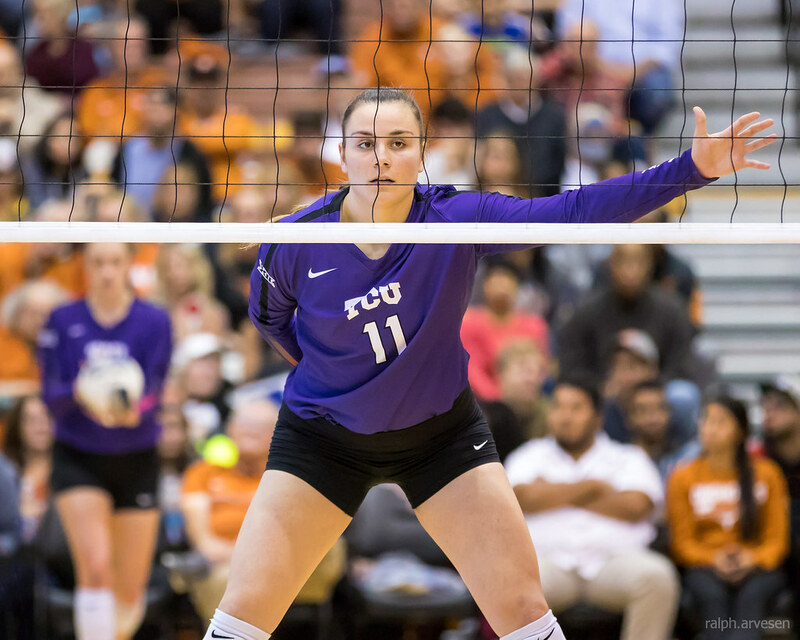 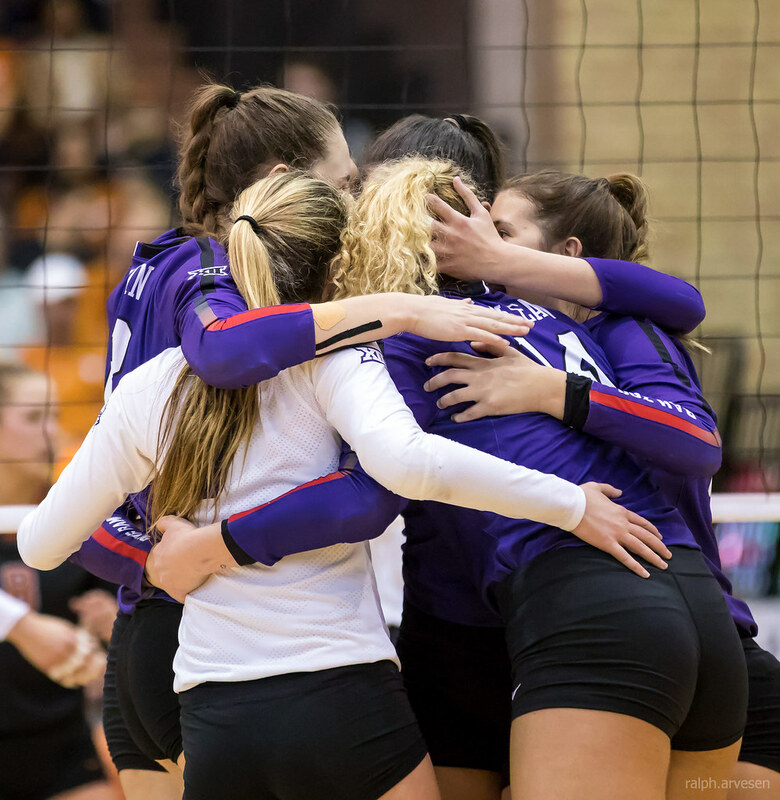 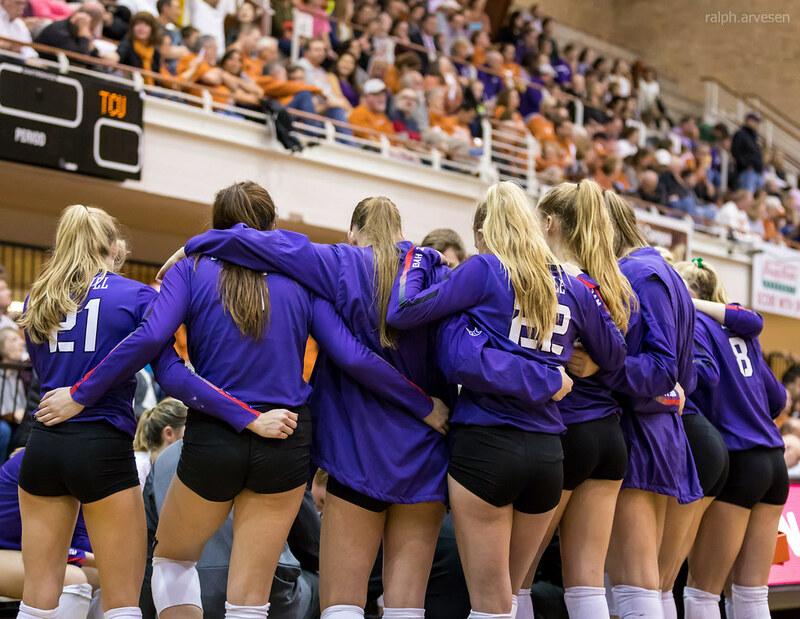 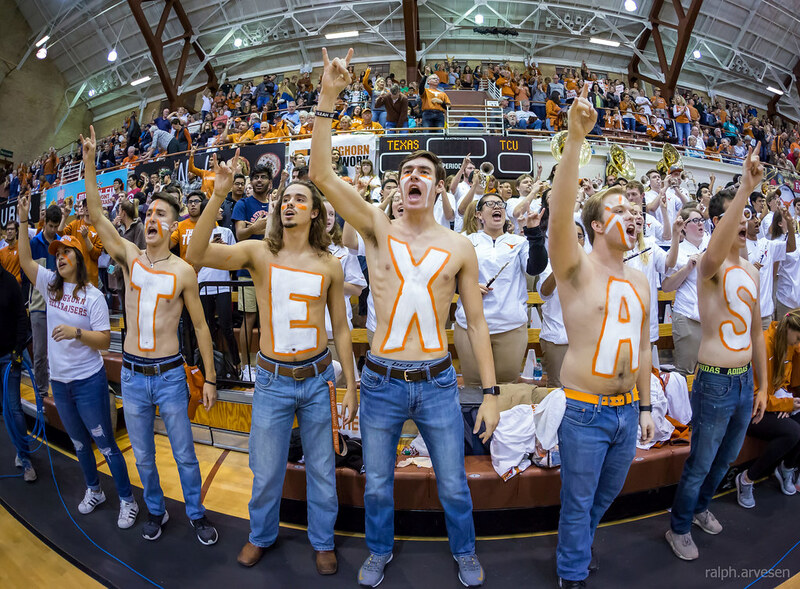 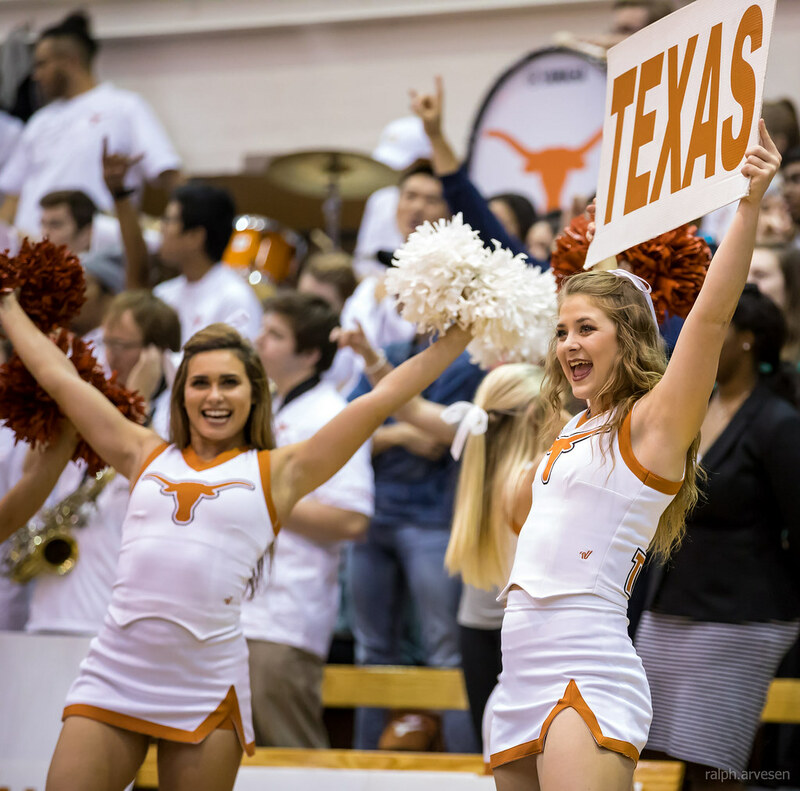 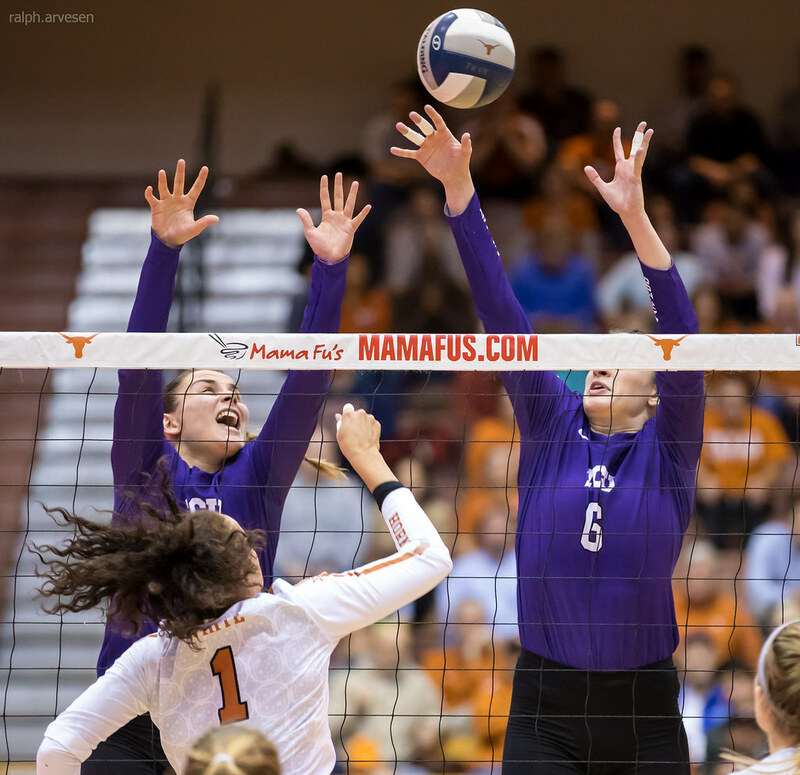 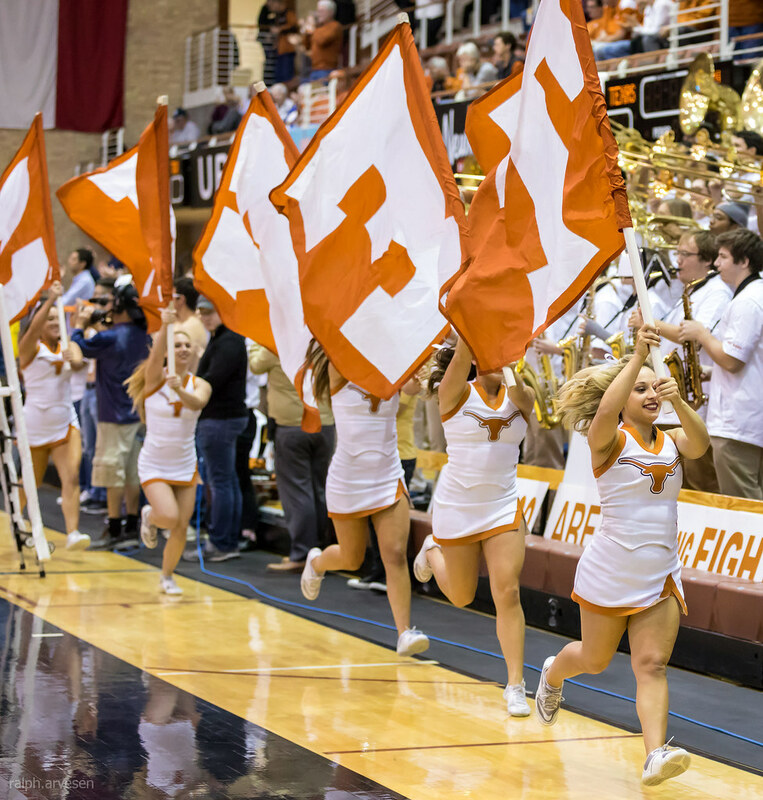 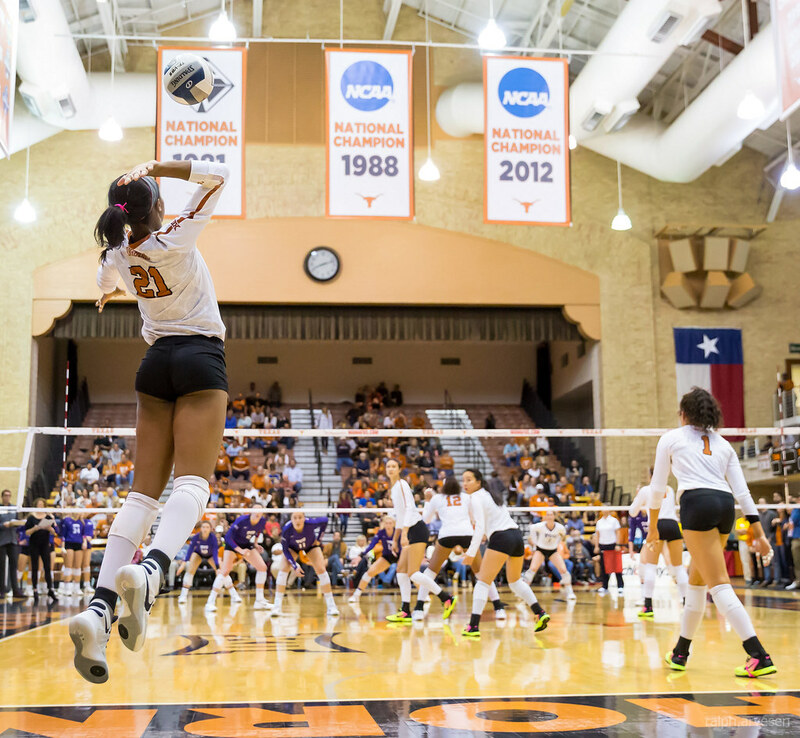 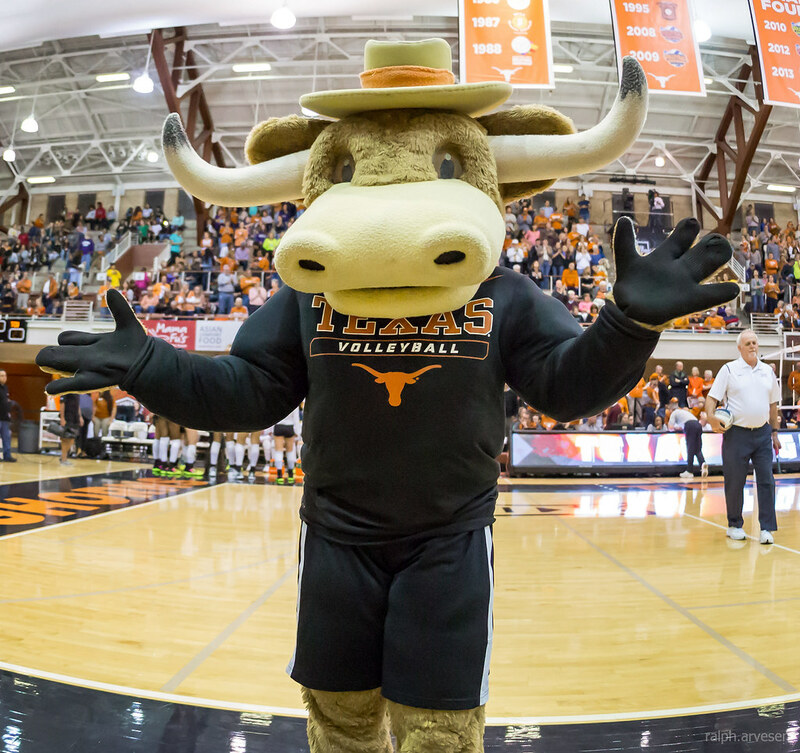 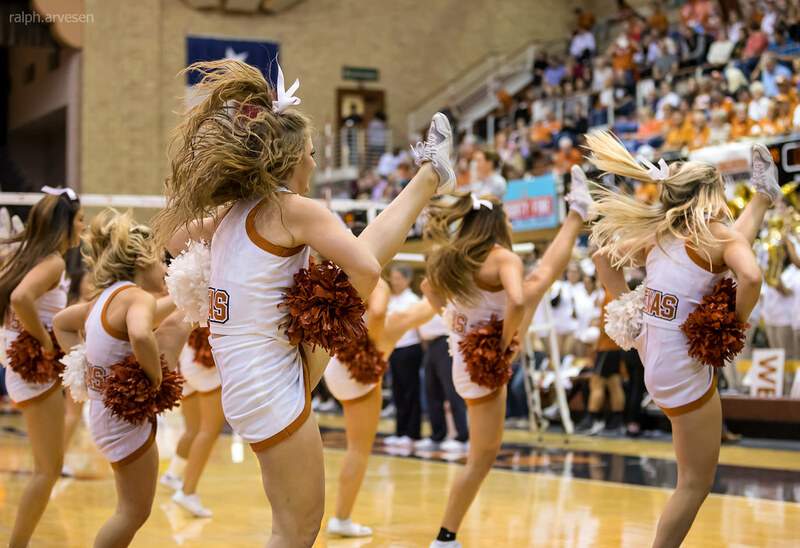 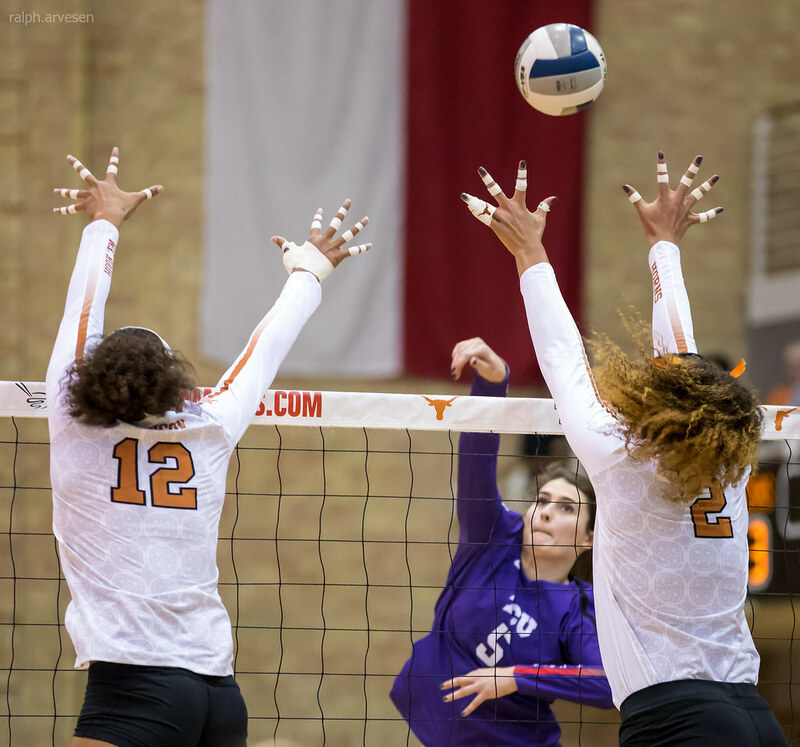 University of Texas Longhorns volleyball match against TCU Horned Frogs at Gregory Gym in Austin, Texas on November 8, 2017. 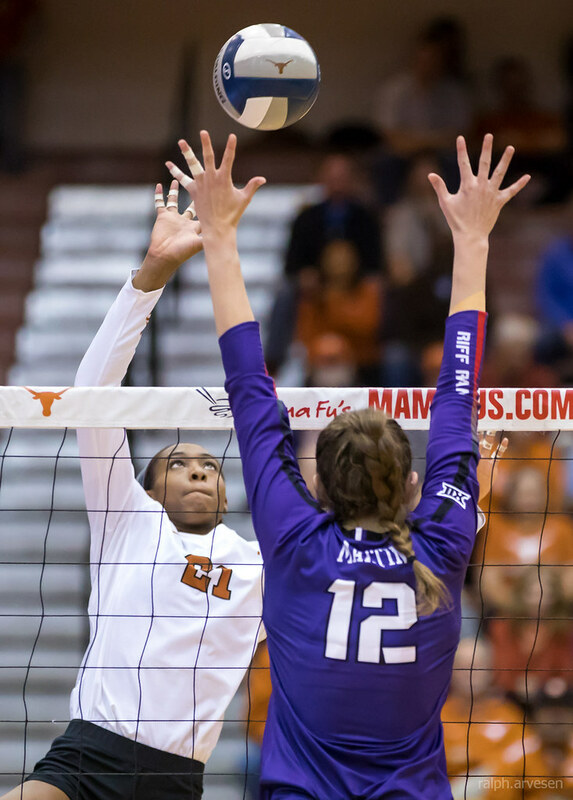 Sophomore Micaya White posted 14 kills and 13 digs to lead No. 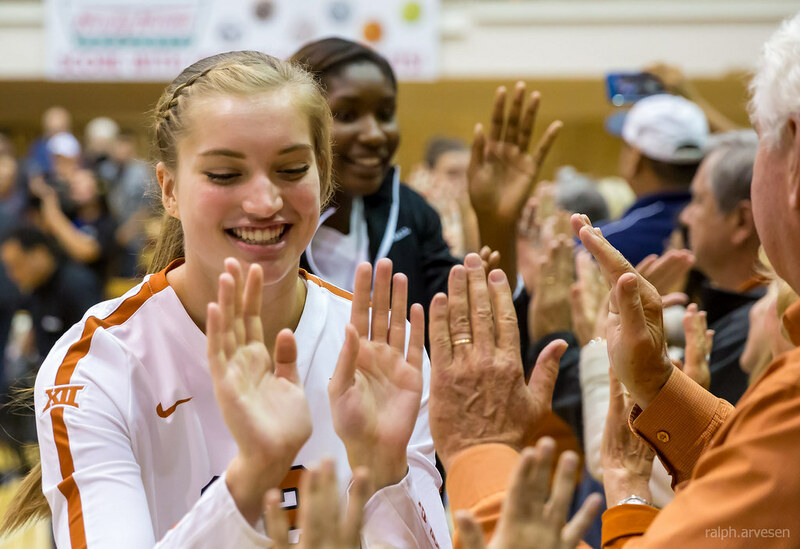 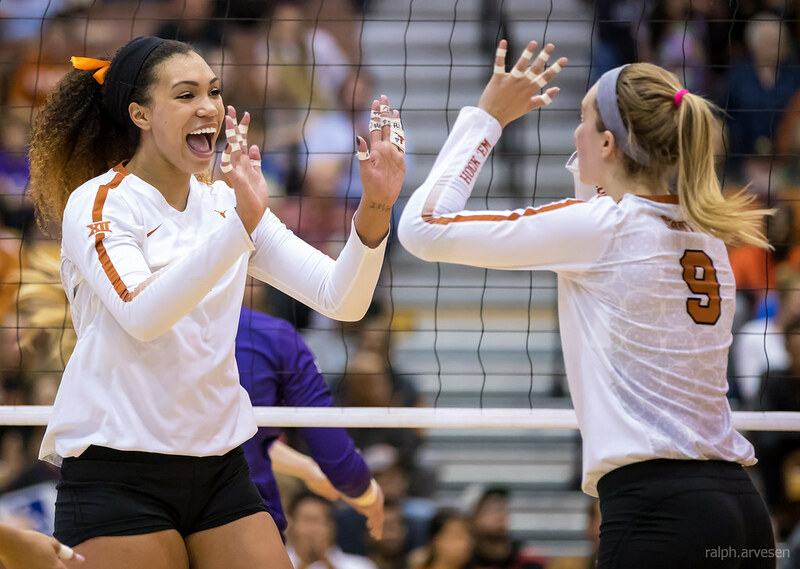 3 Texas Volleyball (20-2, 12-0) past TCU (10-14, 2-10) in straight sets on Wednesday evening, (25-17, 25-23, 25-14). 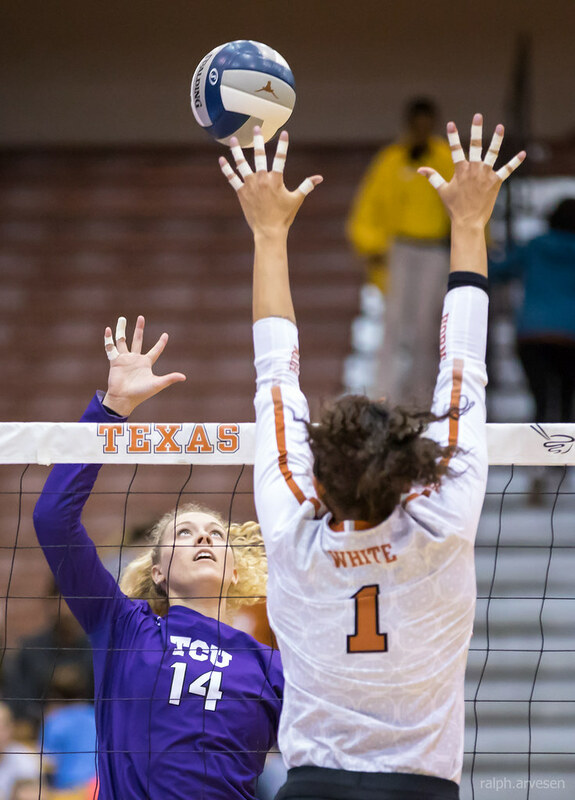 White's 14 kills came on 35 swings for a .314 hitting percentage. 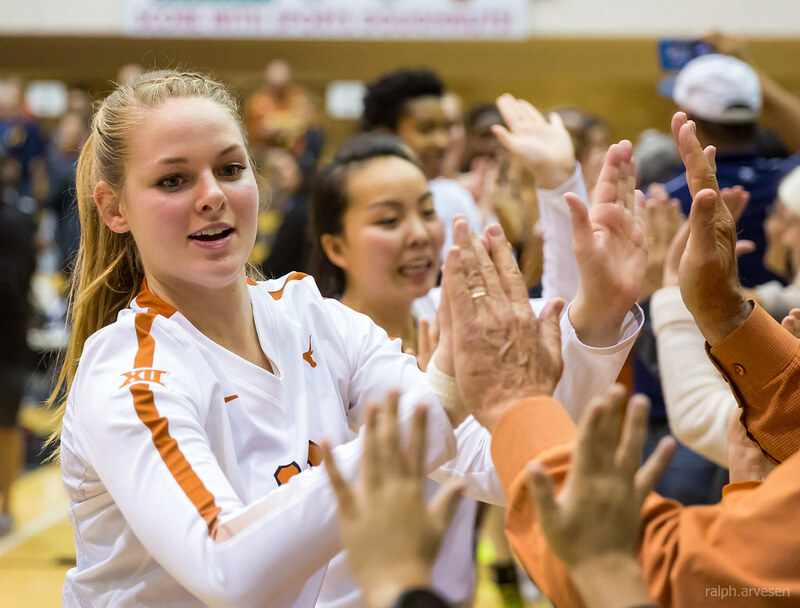 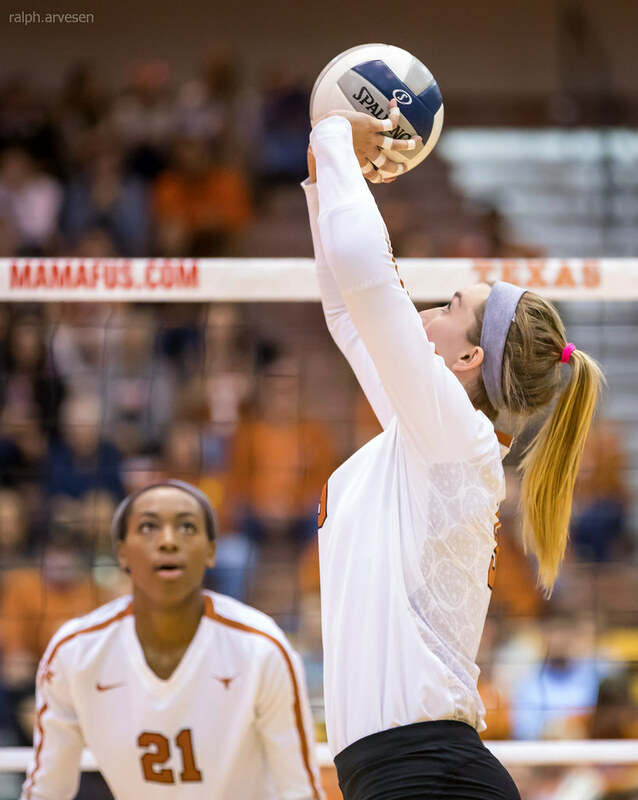 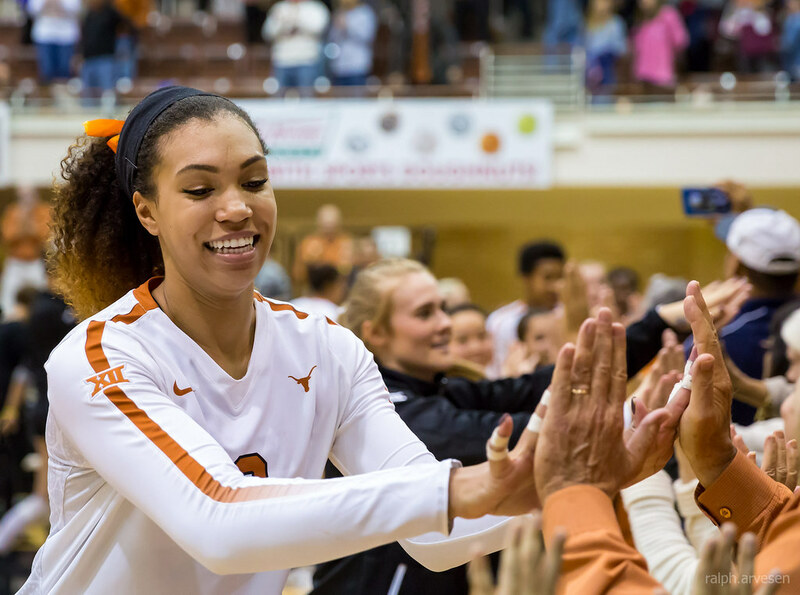 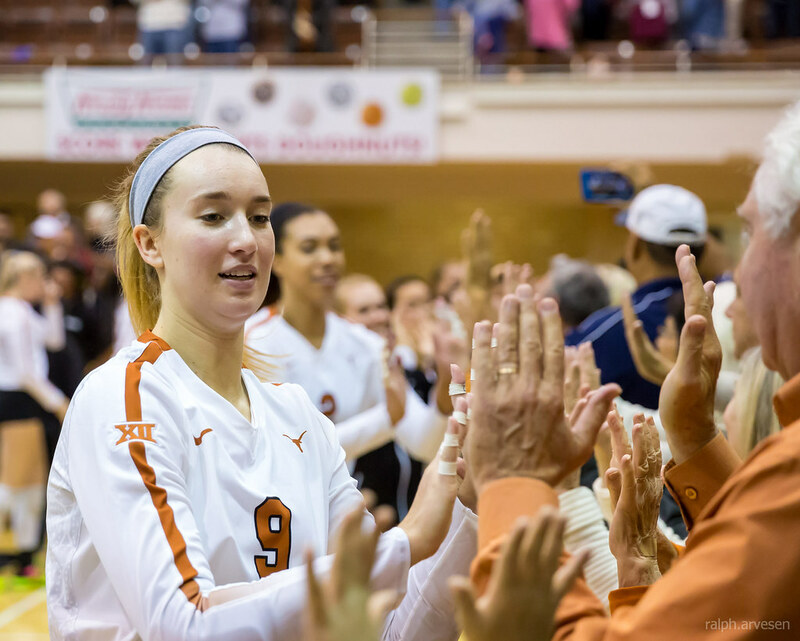 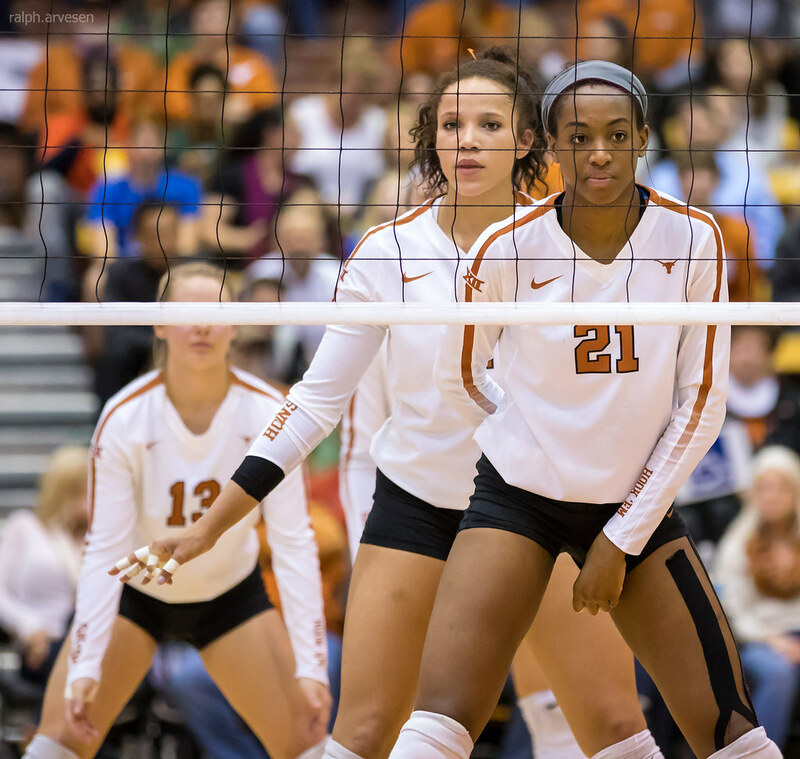 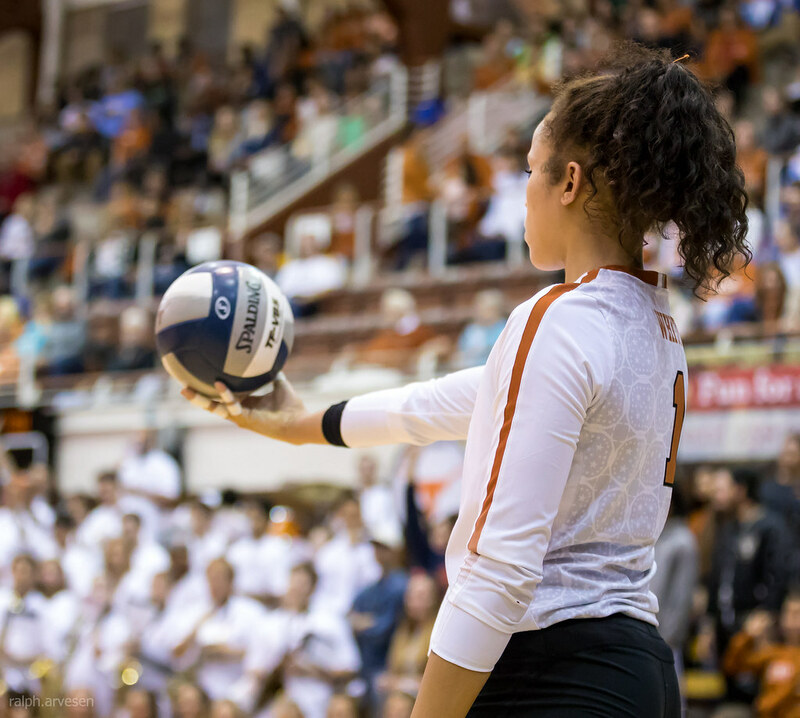 She was one of three Longhorns to finish with double-digit kills. 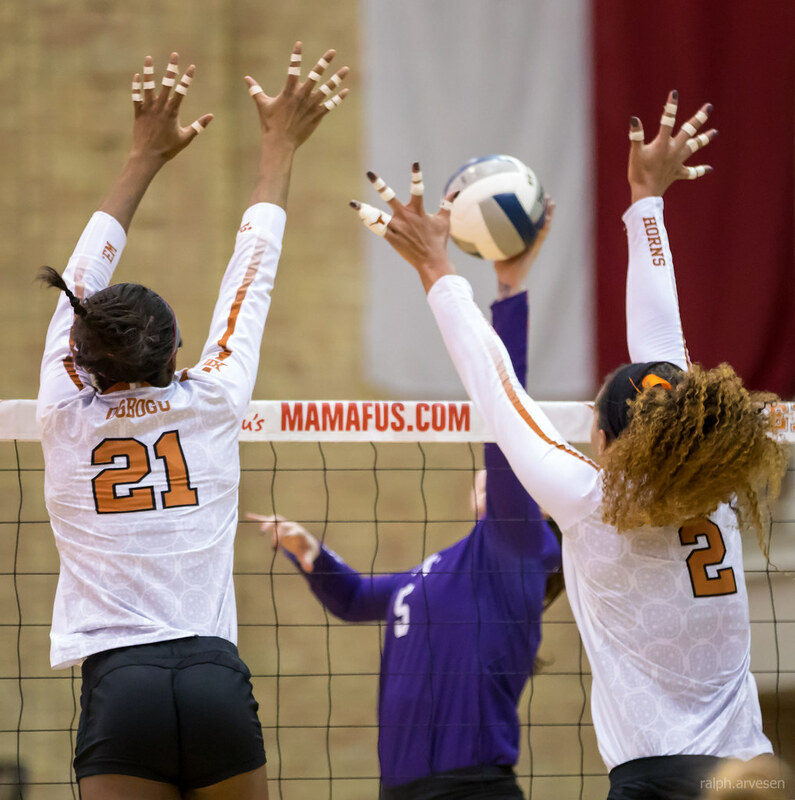 Senior Ebony Nwanebu posted 13 kills (.500) with only one error on 24 attacks, and freshman Lexi Sun had 12 kills (.476). 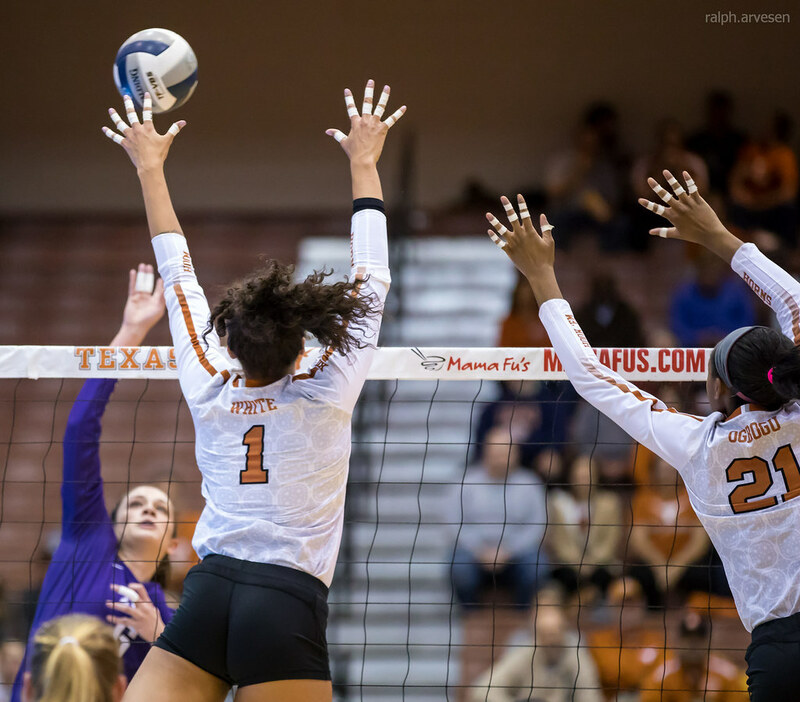 Freshman Ashley Shook recorded a career-high 14.33 assists/set on 43 assists, tying Nwanebu's team-high .500 hitting percentage on five kills, and recording seven digs. 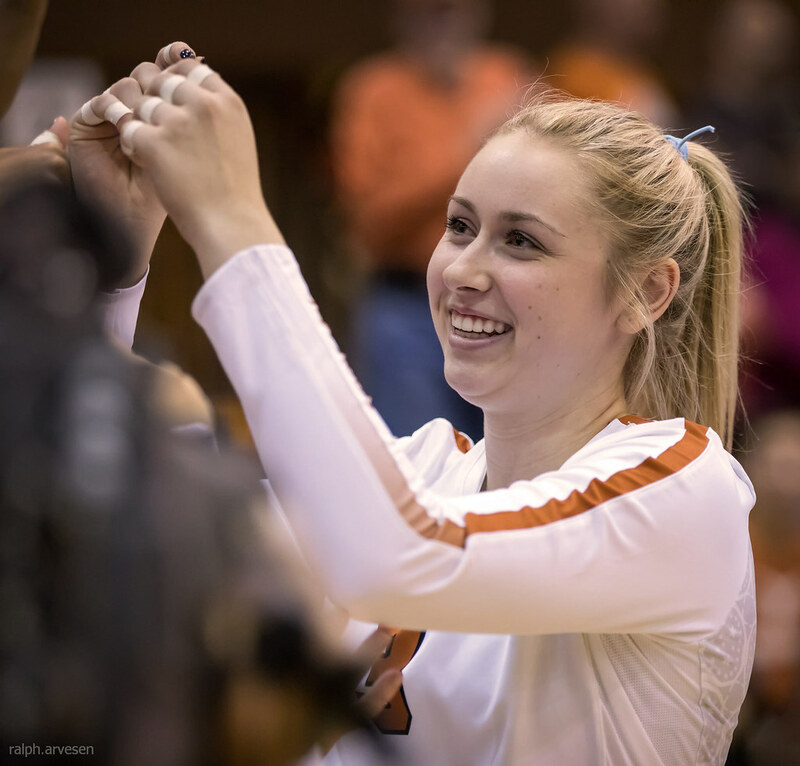 Senior Cat McCoy recorded a team-leading 18 digs, while White's 13 digs gave her a sixth double-double of the season. 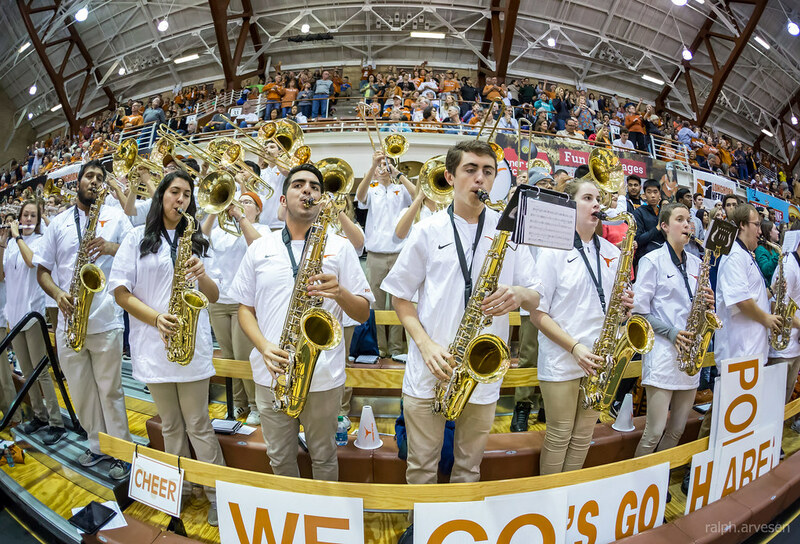 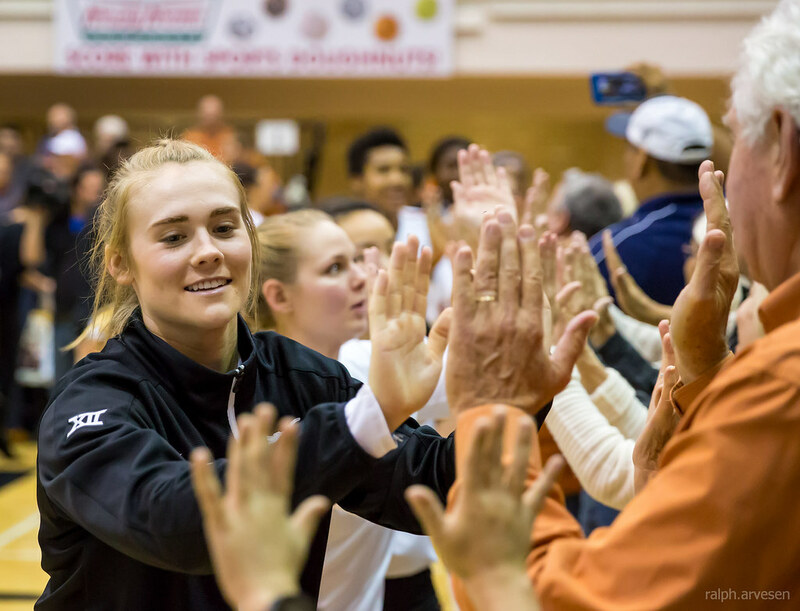 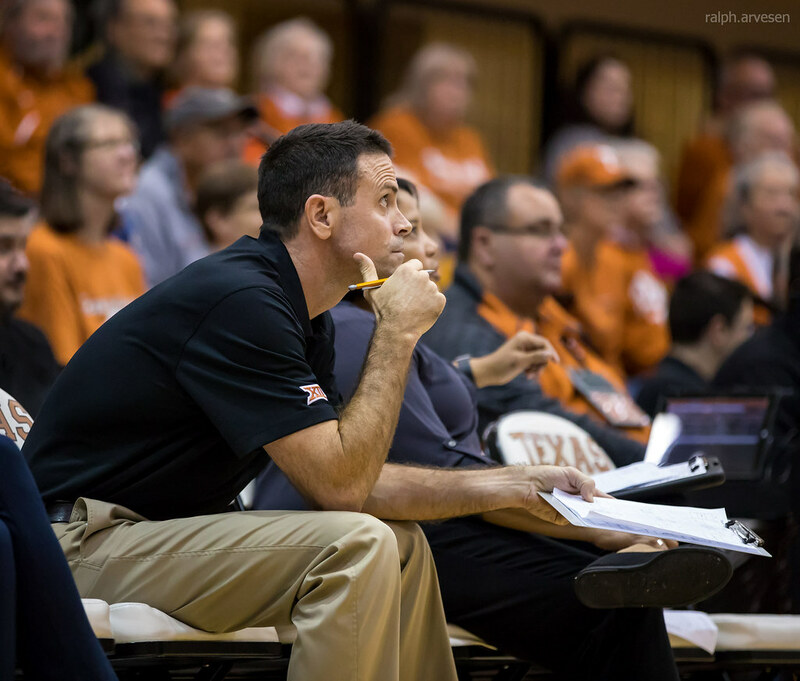 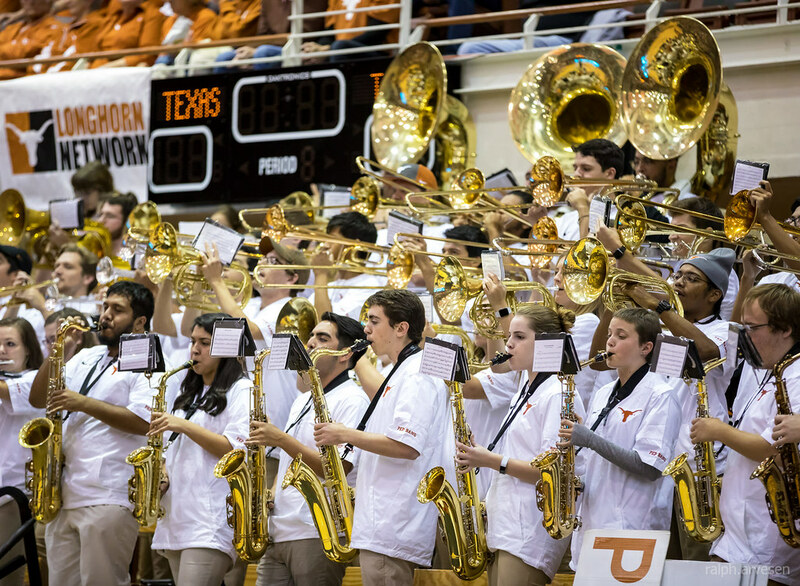 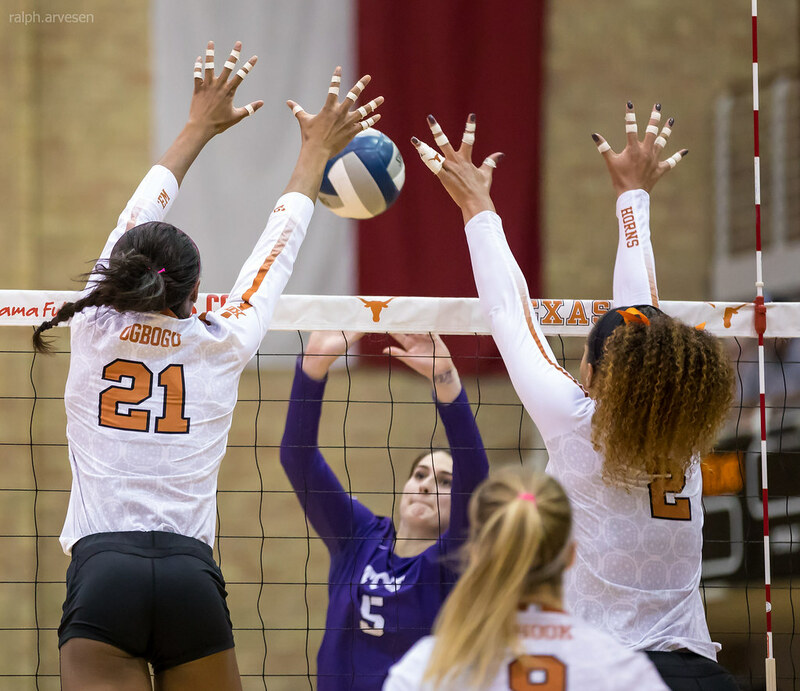 Texas posted 9.0 to 4.0 blocking advantage over the Horned Frogs by Chiaka Ogbogu's team-high five blocks, while Morgan Johnson, Nwanebu, Sun, and White all recorded three. 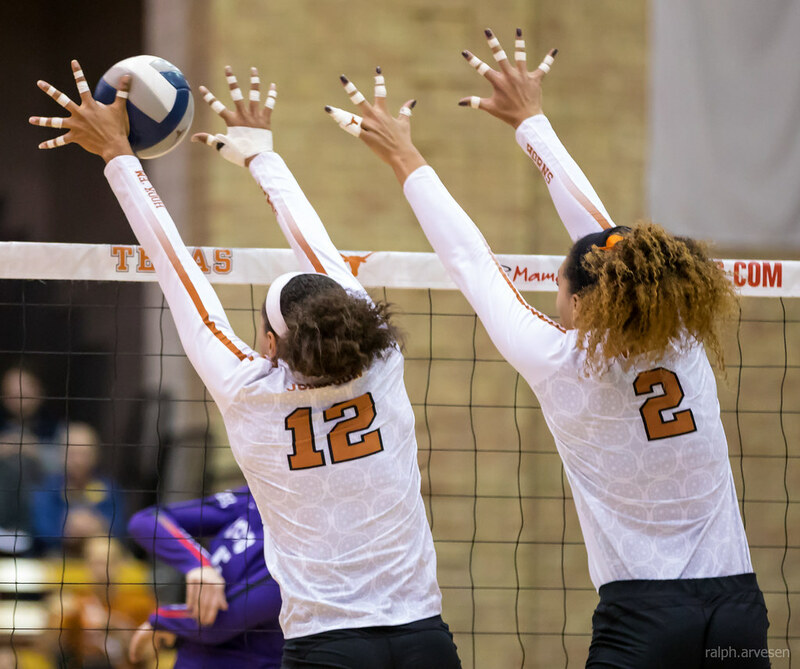 The score in the first set was tied at four apiece after White had hit back-to-back kills for Texas to open the match 3-0. 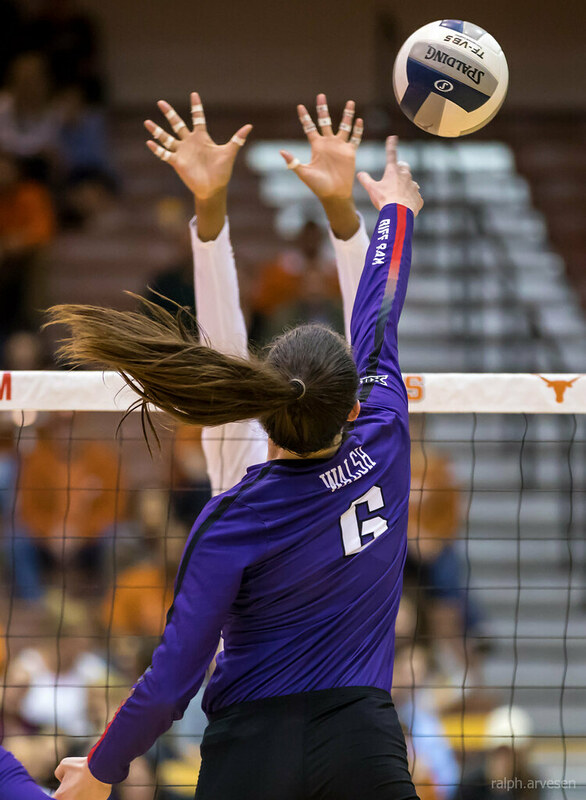 The Longhorns responded with a quick 4-0 run through kills from Shook and Ogbogu, forcing TCU's first timeout at 8-4. 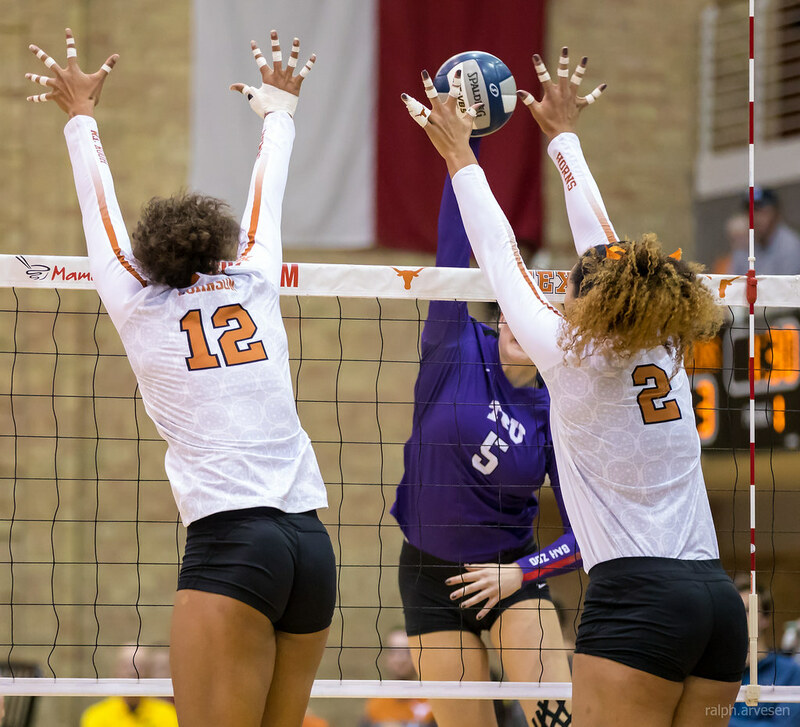 Growing the lead to as many as eight before set point at 24-17, a block from Ogbogu and Nwanebu secured the first set for Texas. 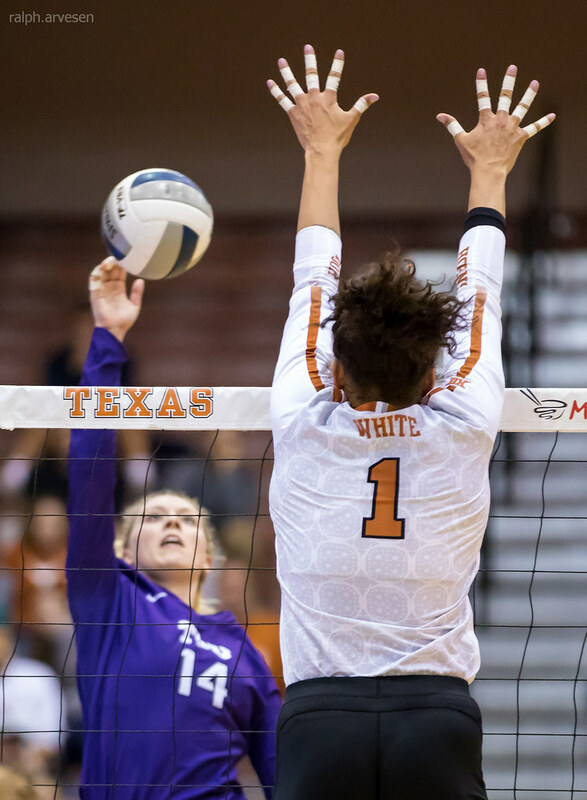 White and Nwanebu had led Texas with five kills apiece in the first set, and White recorded her sixth on the opening point of the second with a tip for a 1-0 Texas lead. 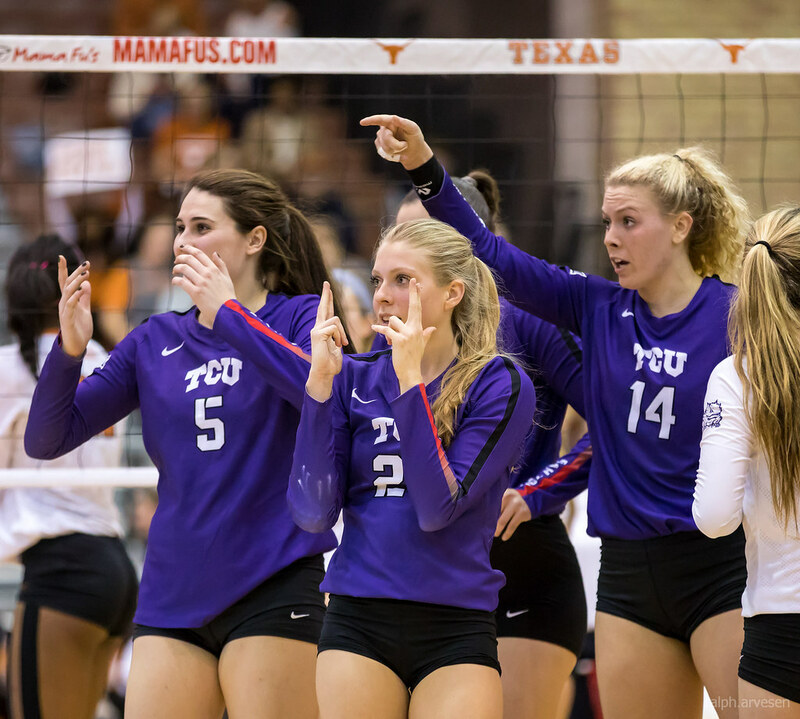 TCU tied on six occasions, but finally at 23-23. 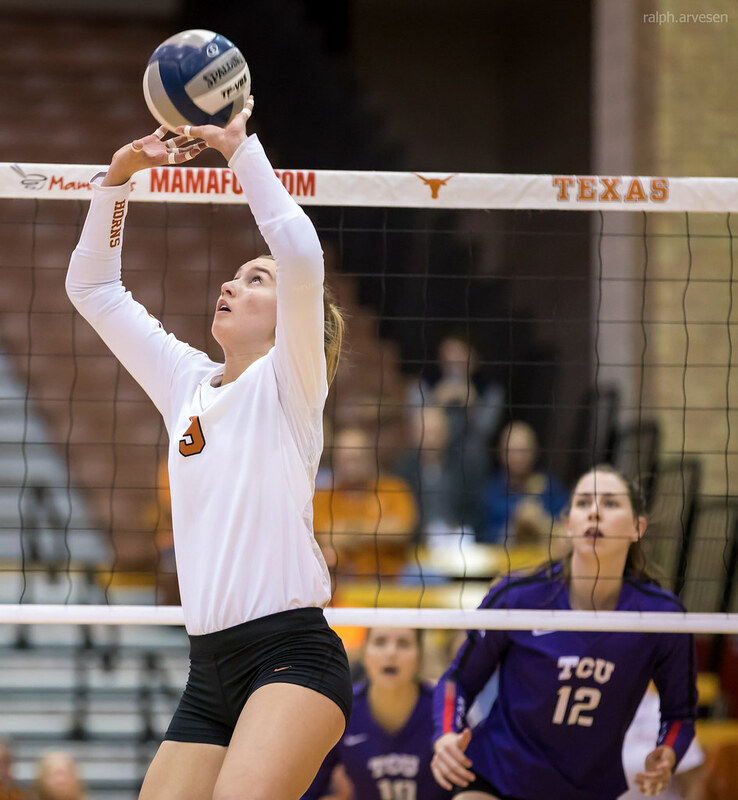 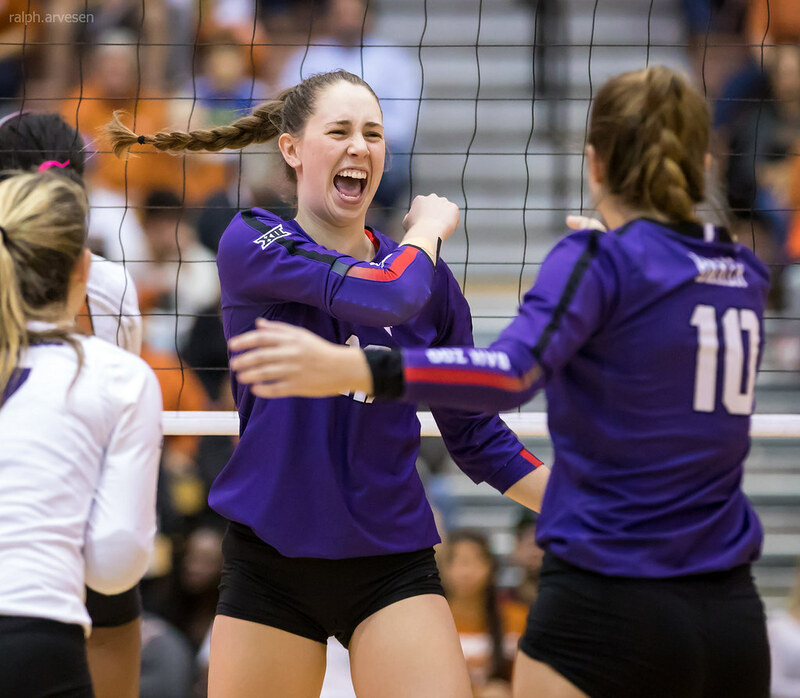 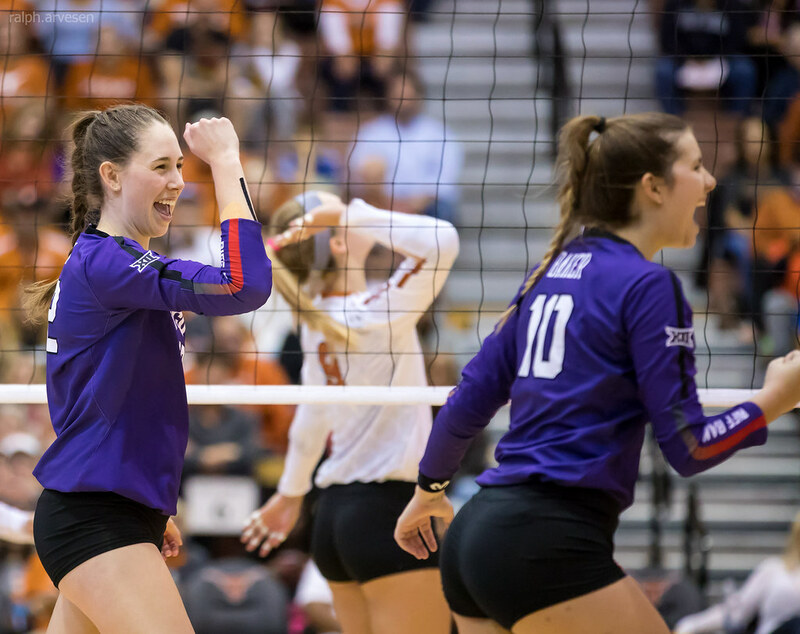 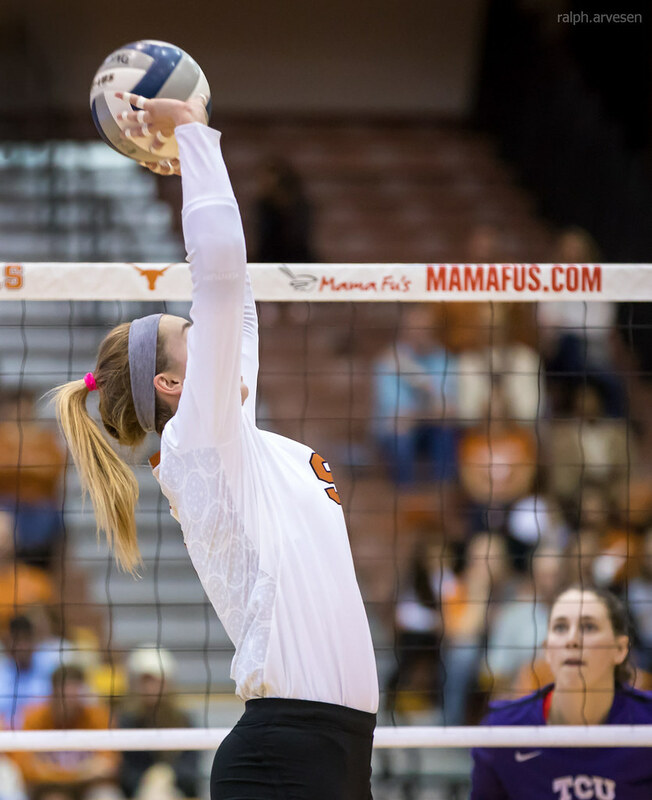 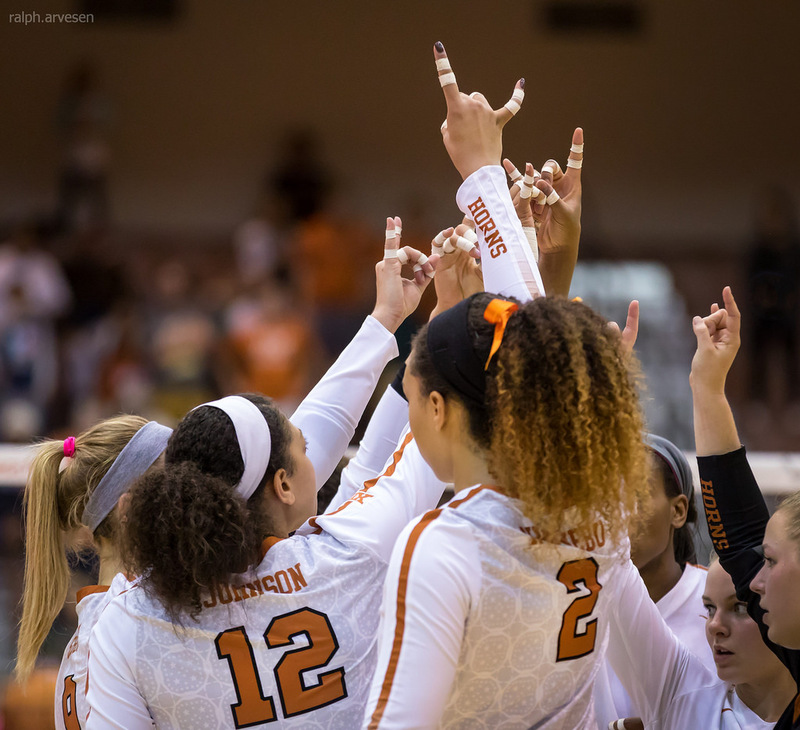 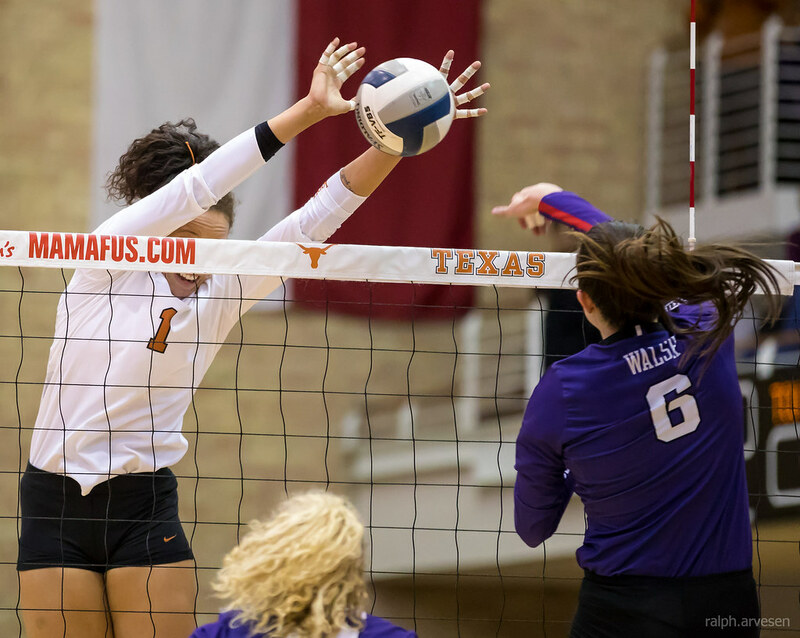 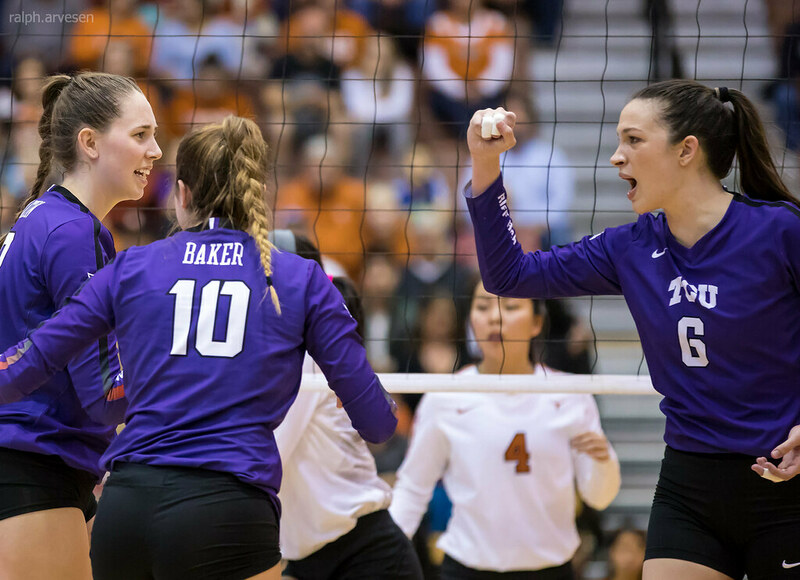 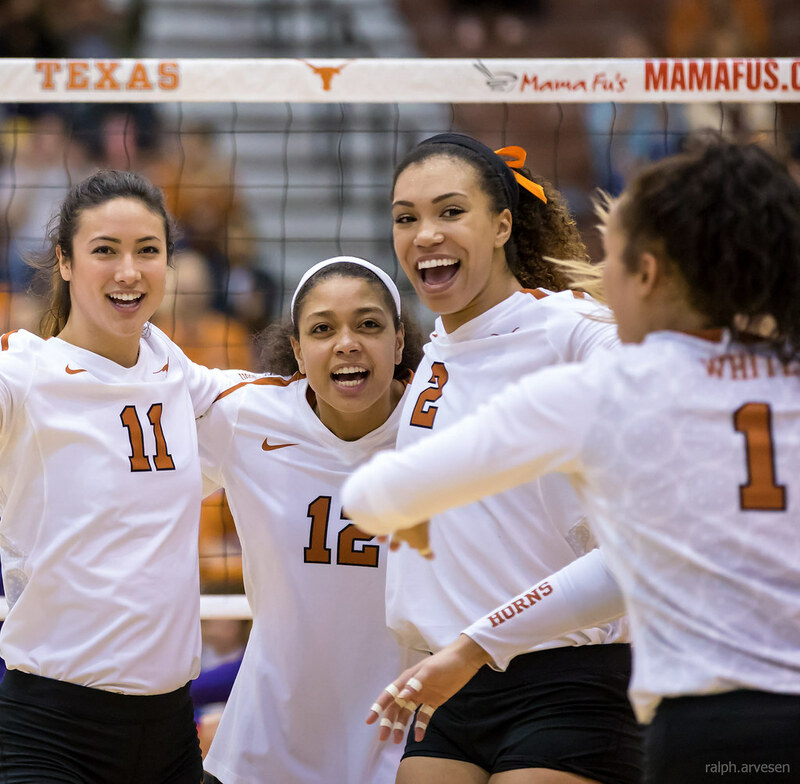 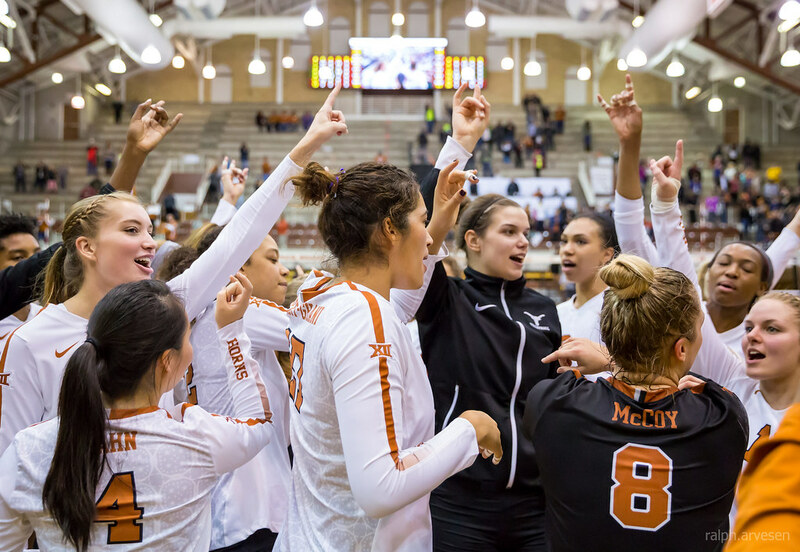 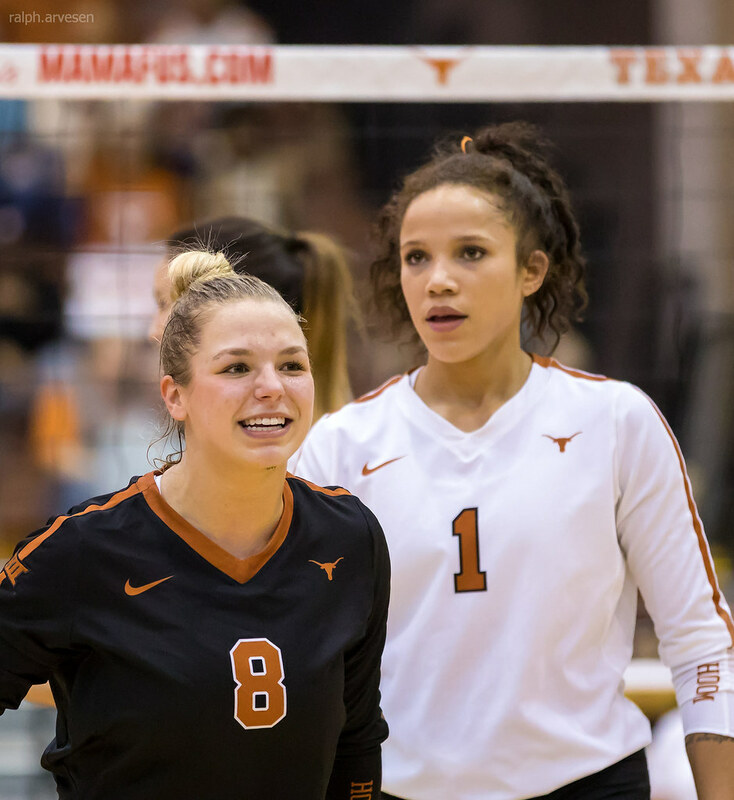 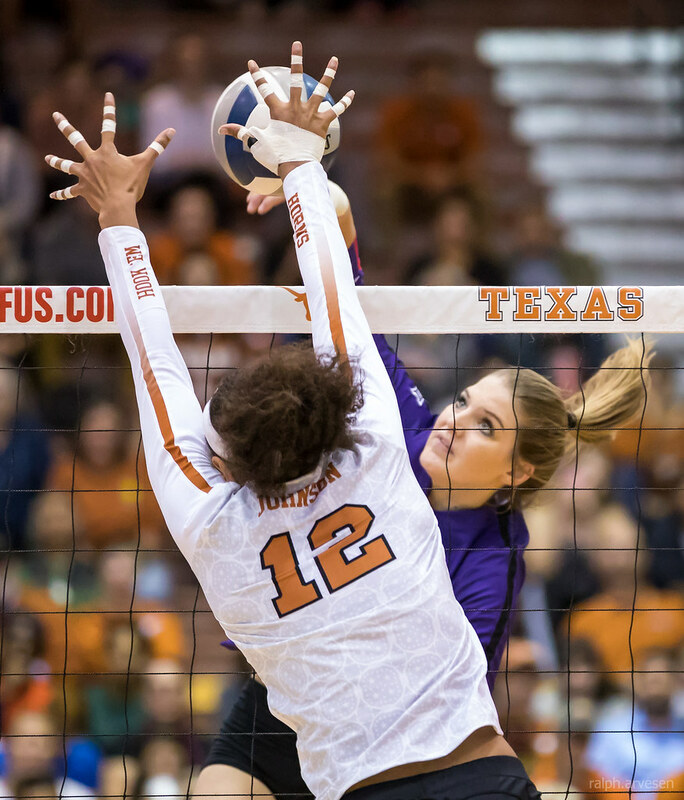 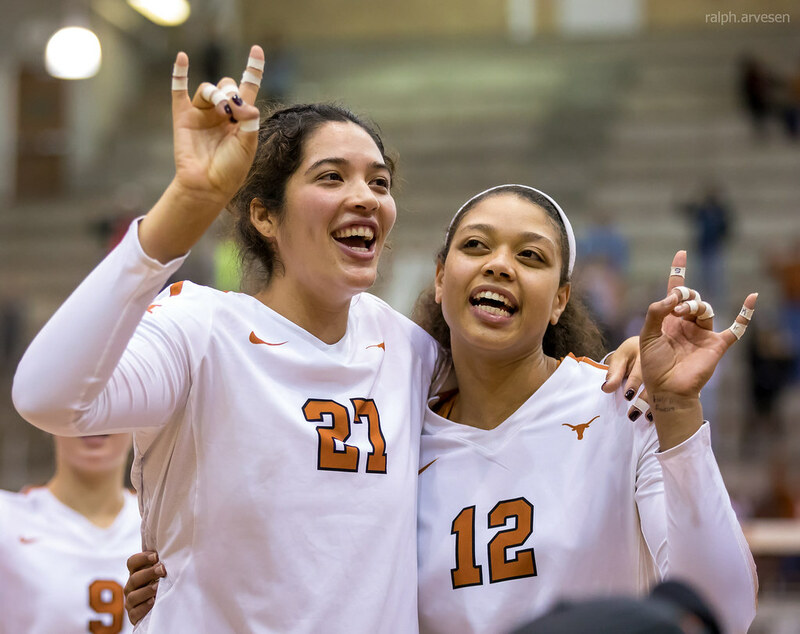 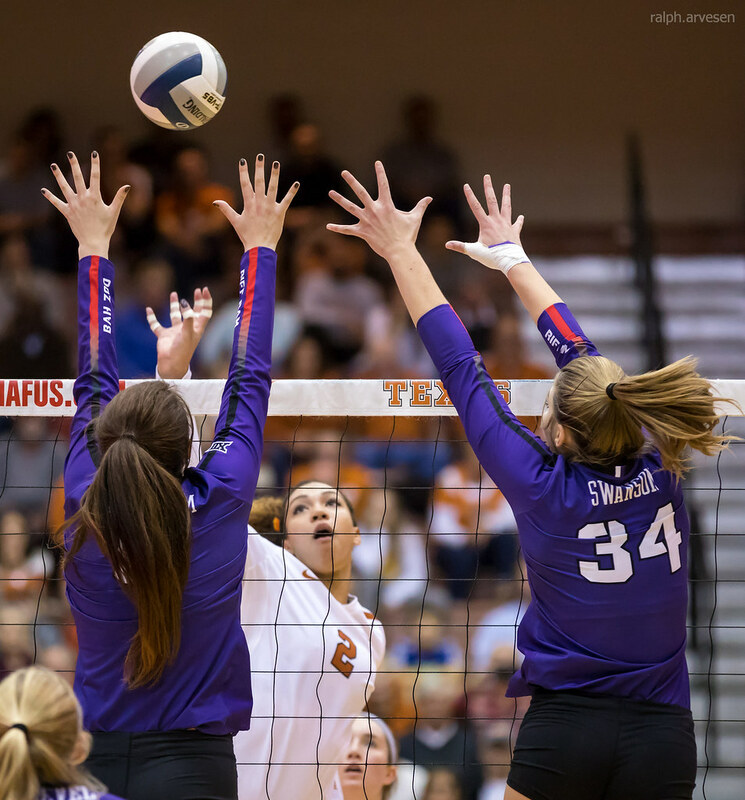 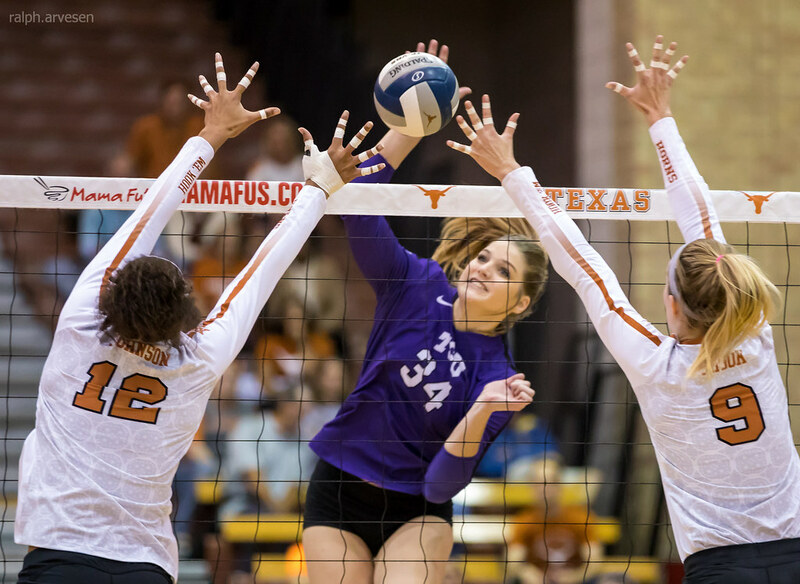 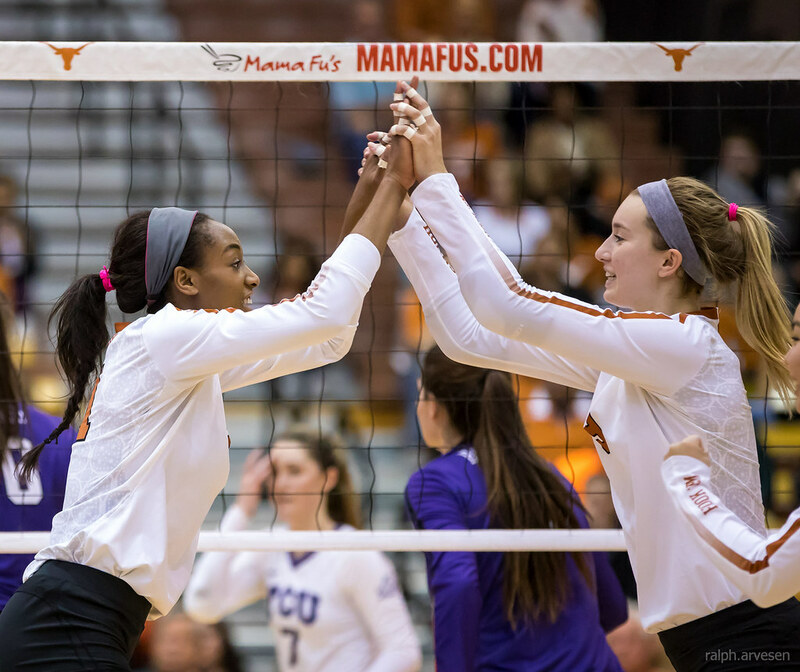 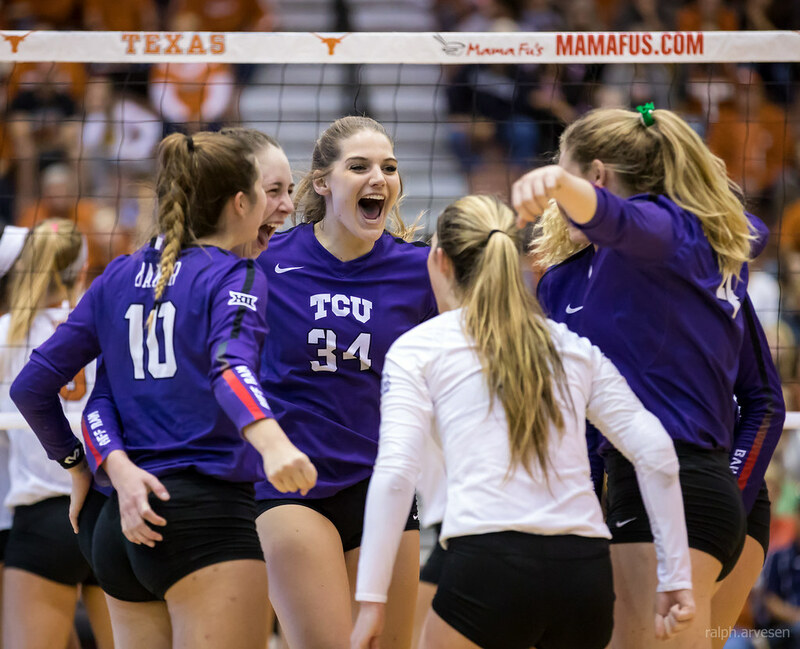 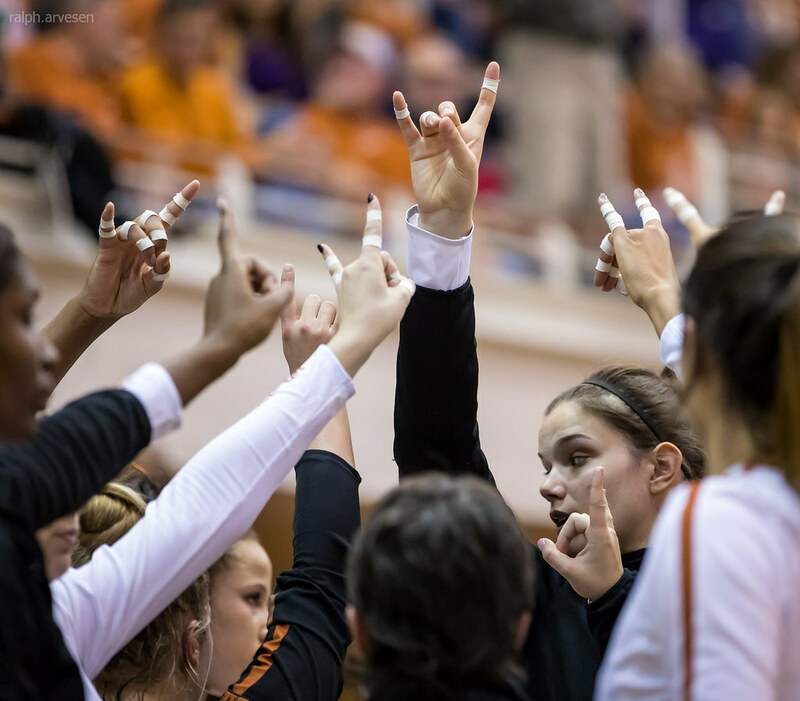 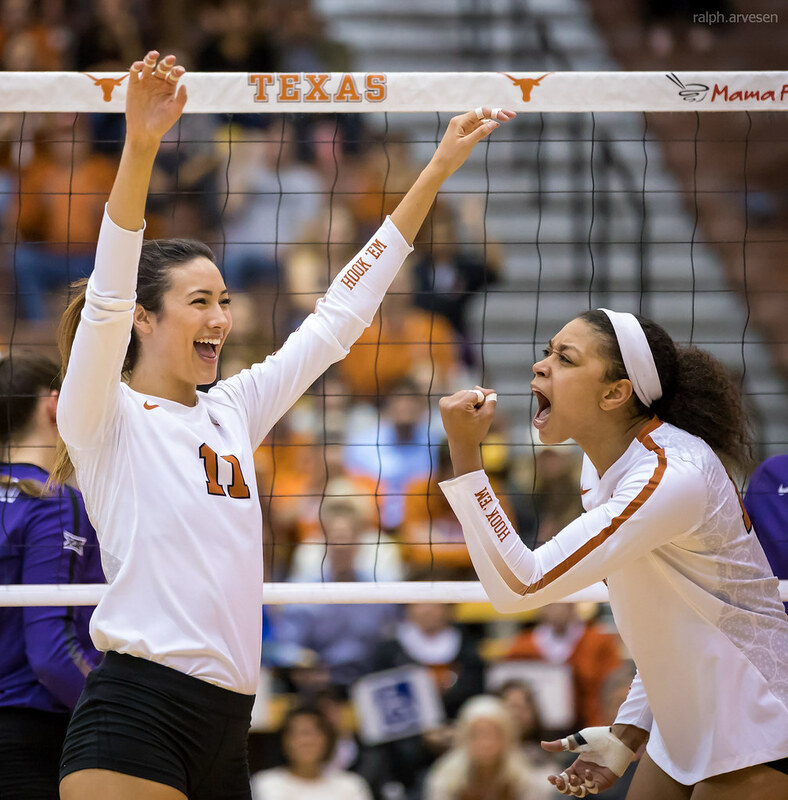 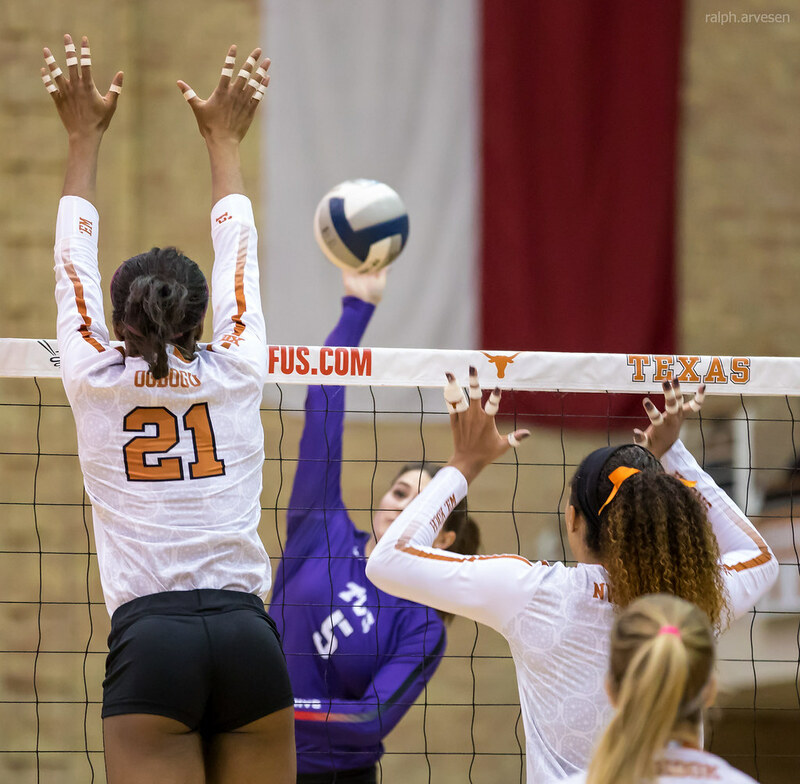 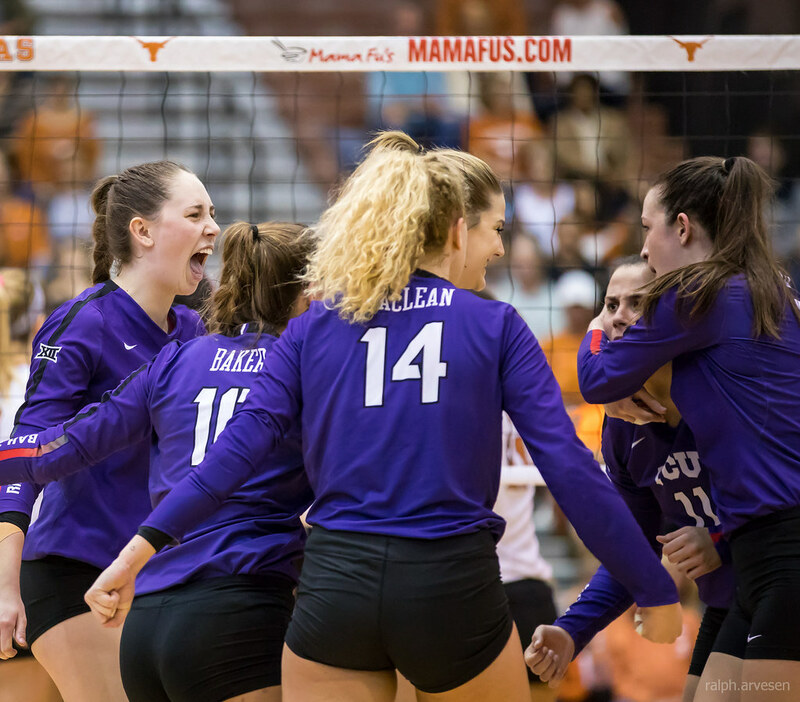 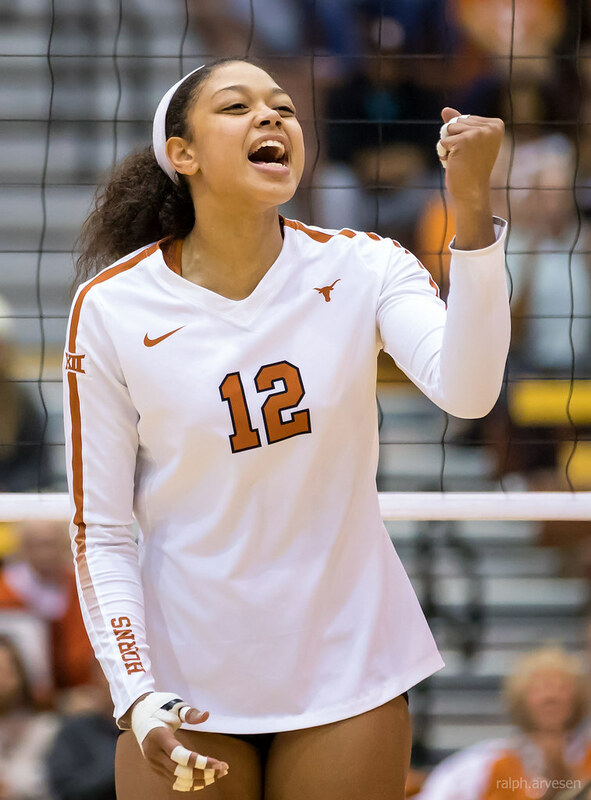 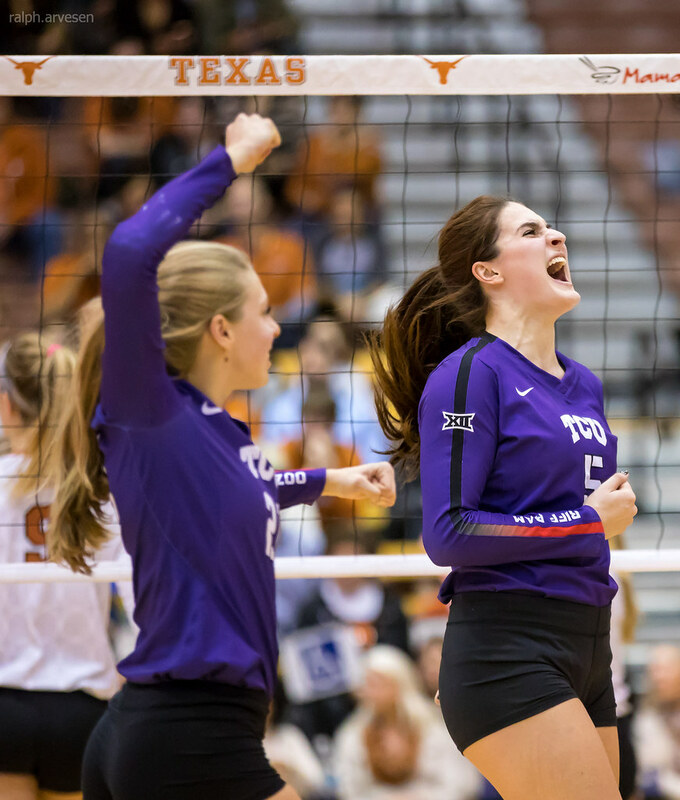 A kill from Johnson took Texas to set point at 24-23, preceding the Horned Frogs mishandling an attack from Sun, giving the Longhorns the set at 25-23. 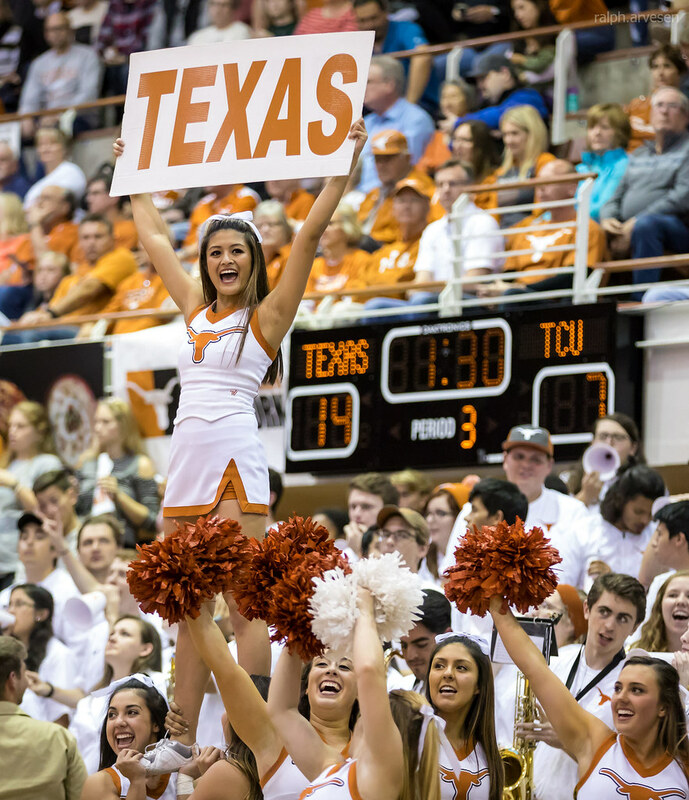 The next home games are Kansas on November 15, and Oklahoma on November 22.